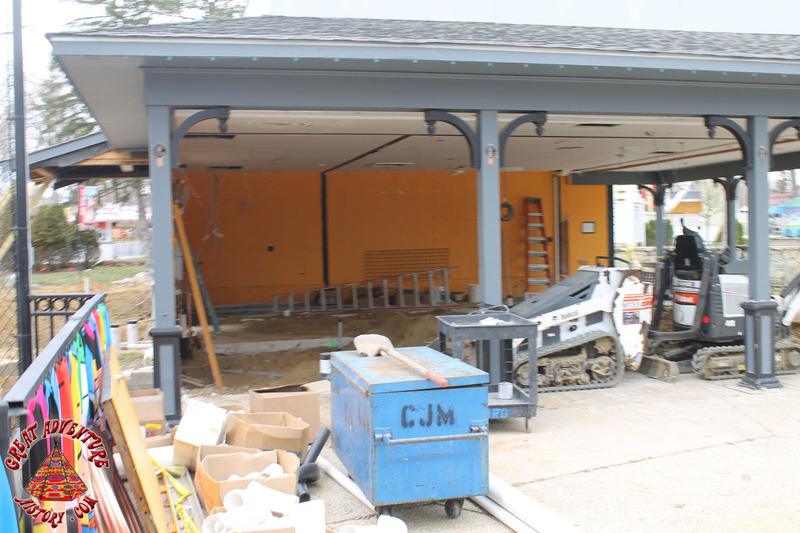 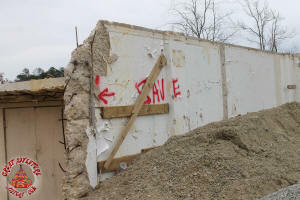 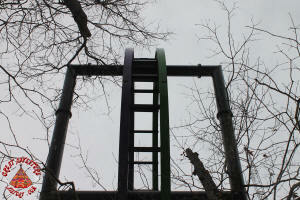 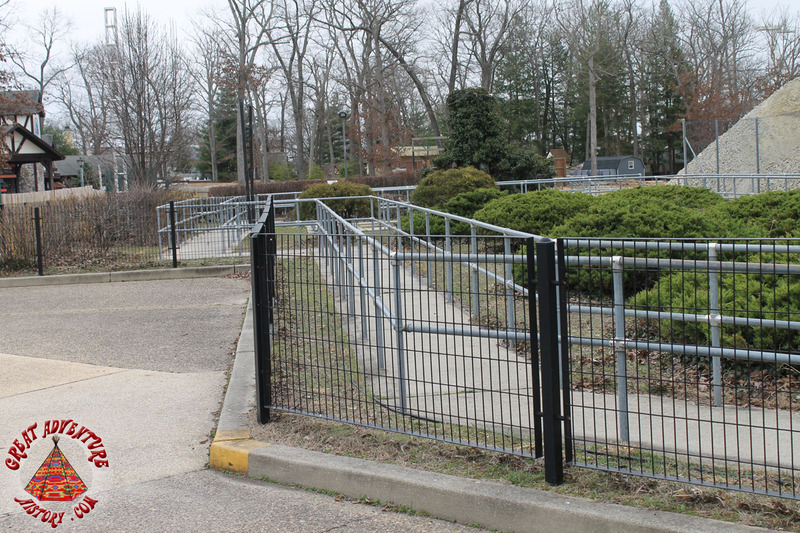 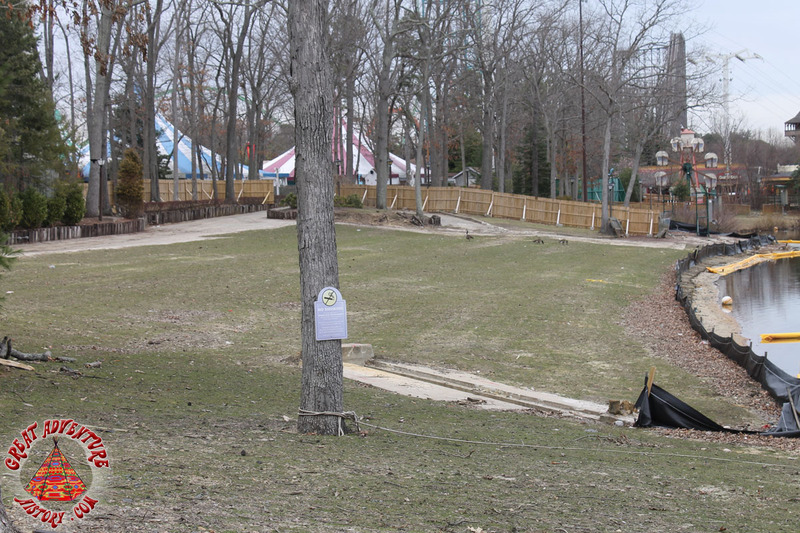 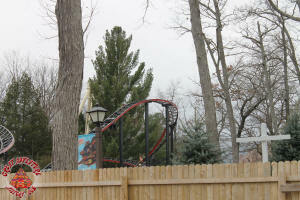 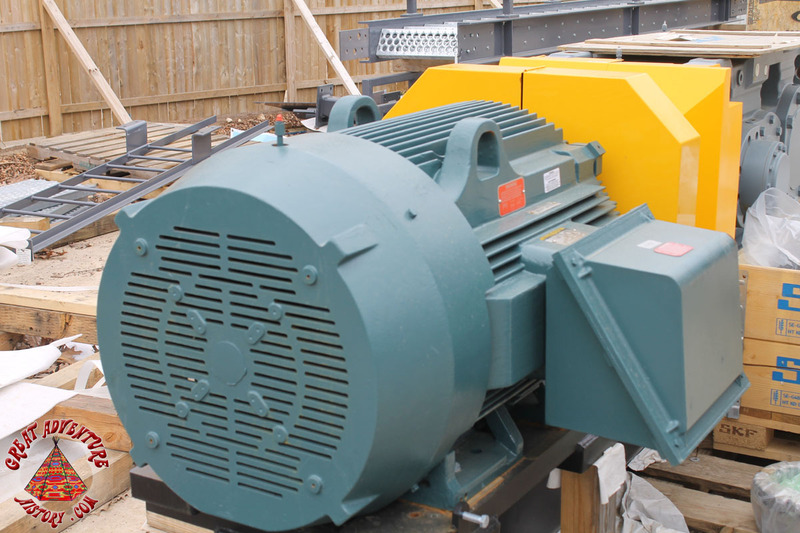 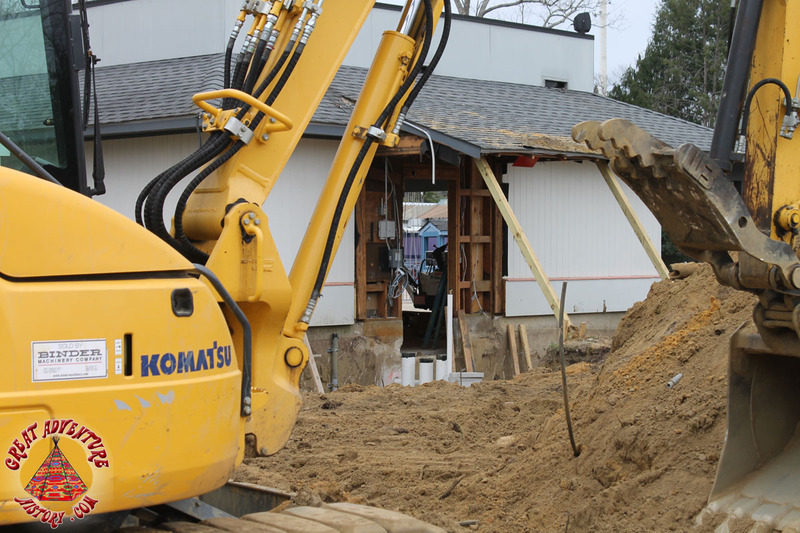 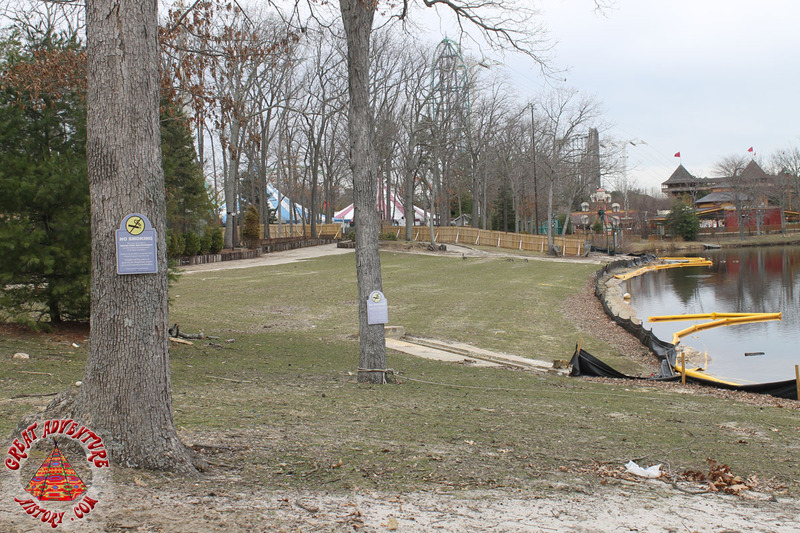 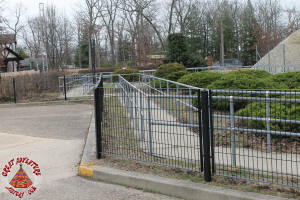 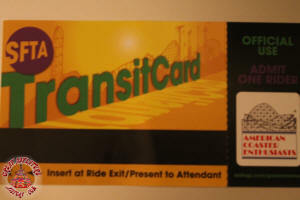 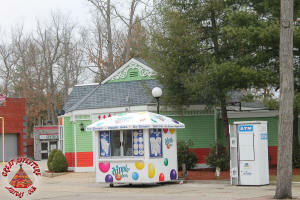 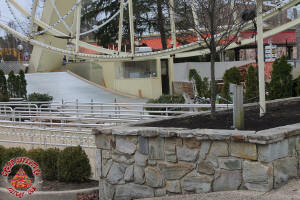 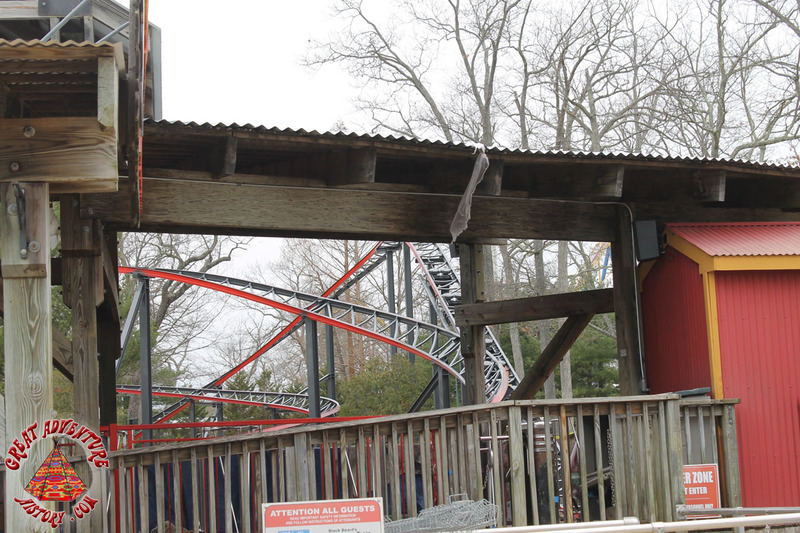 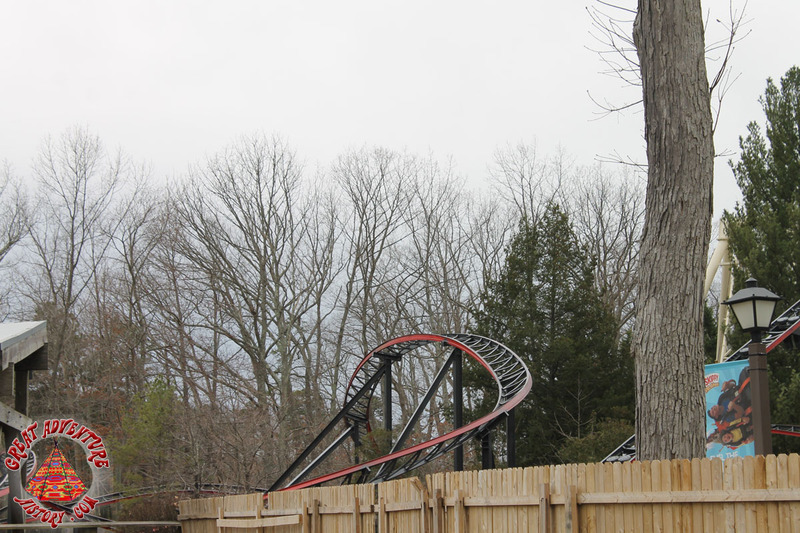 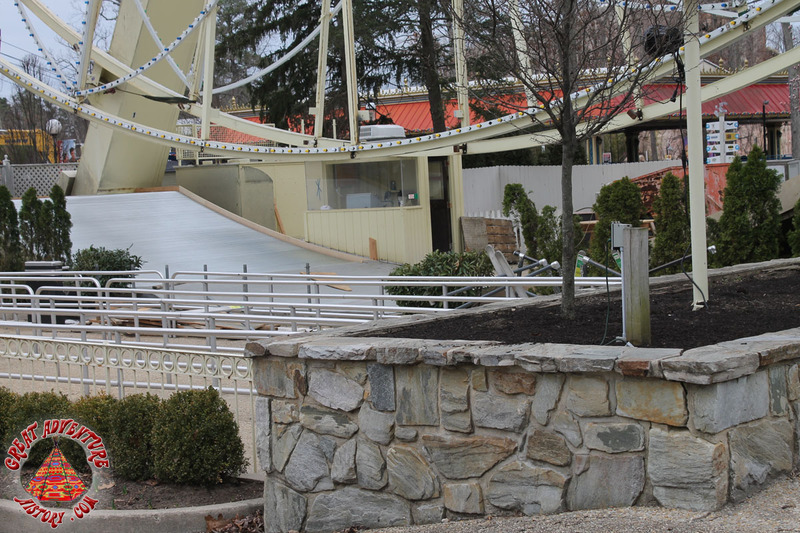 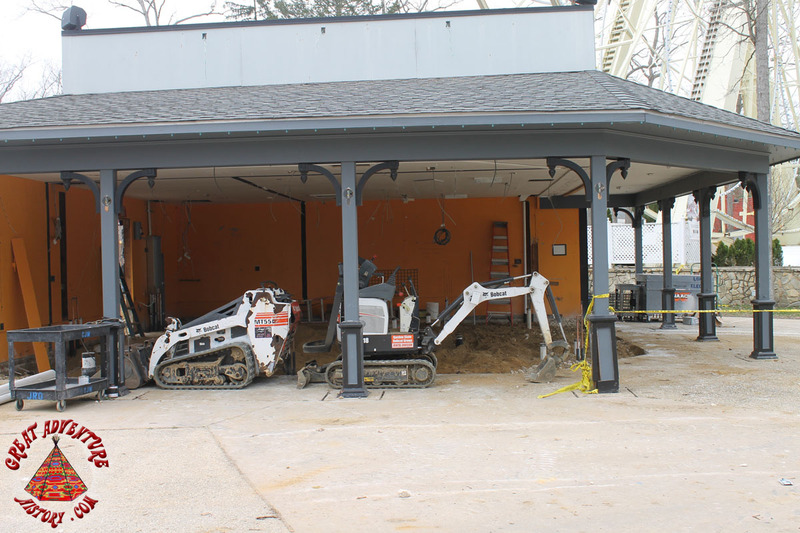 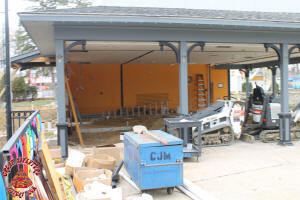 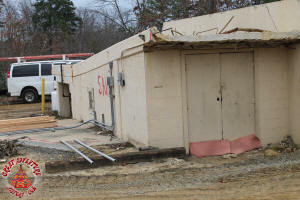 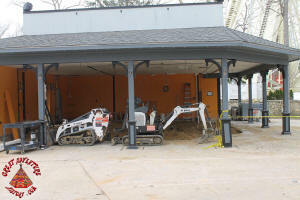 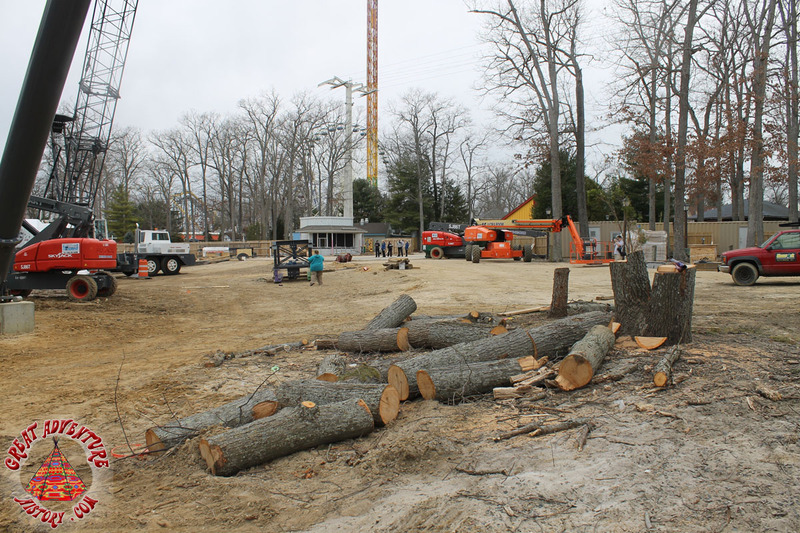 After sitting abandoned for ten years, the Batman and Robin The Chiller station has been removed. 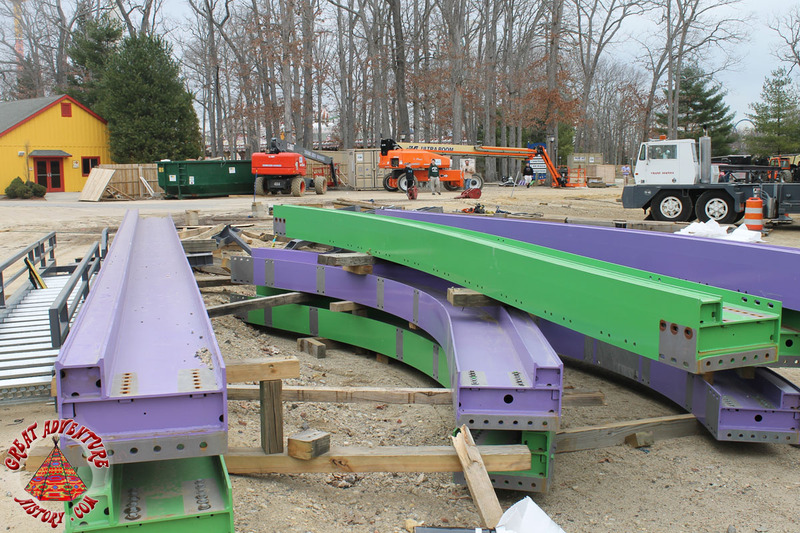 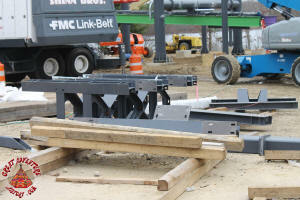 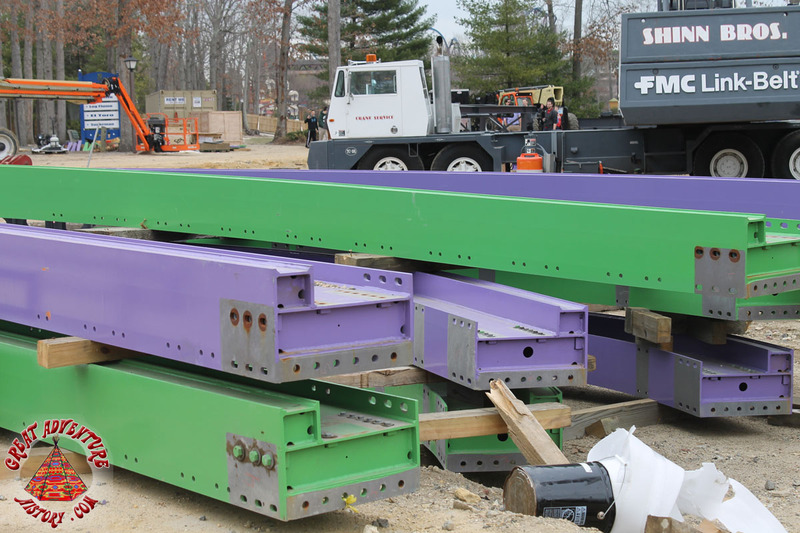 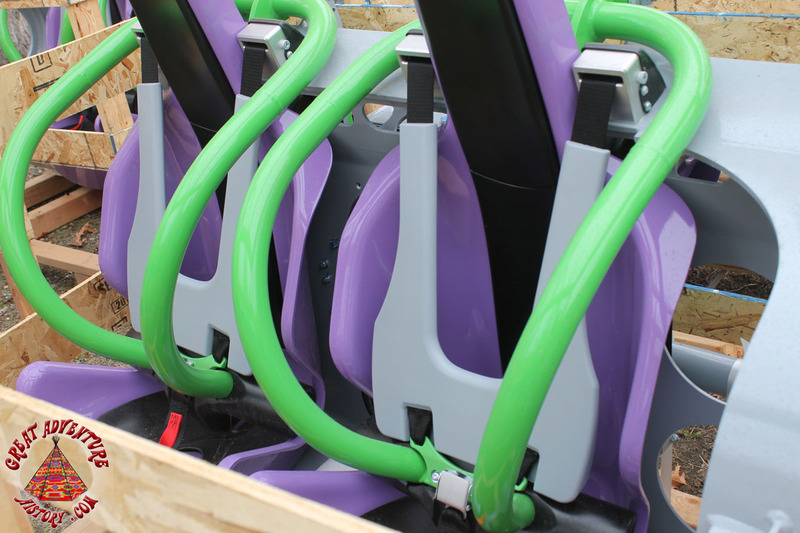 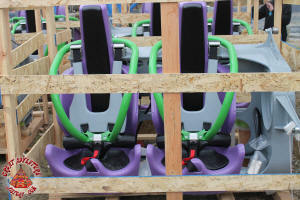 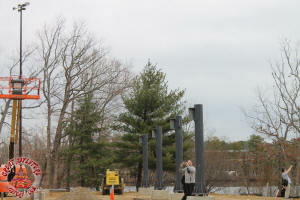 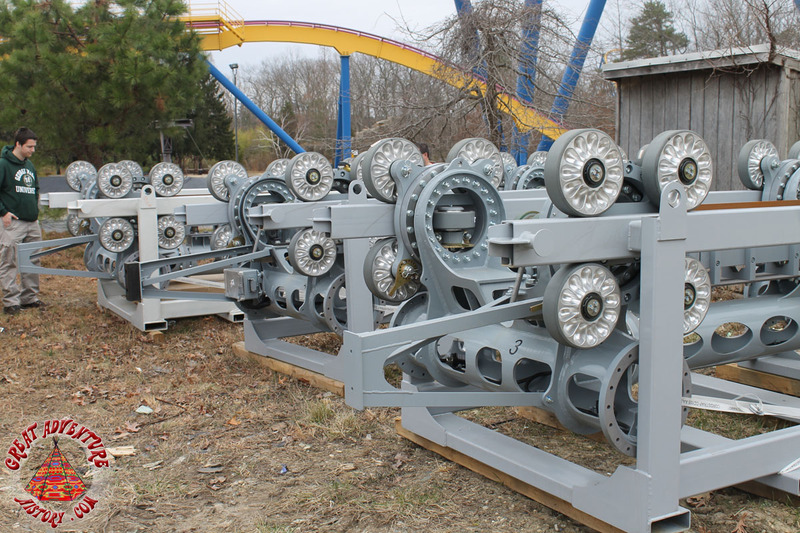 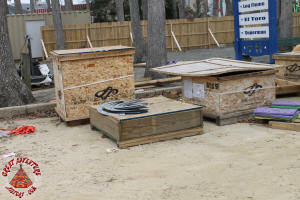 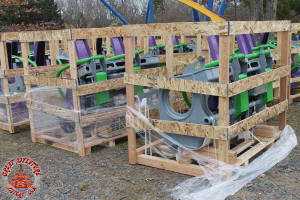 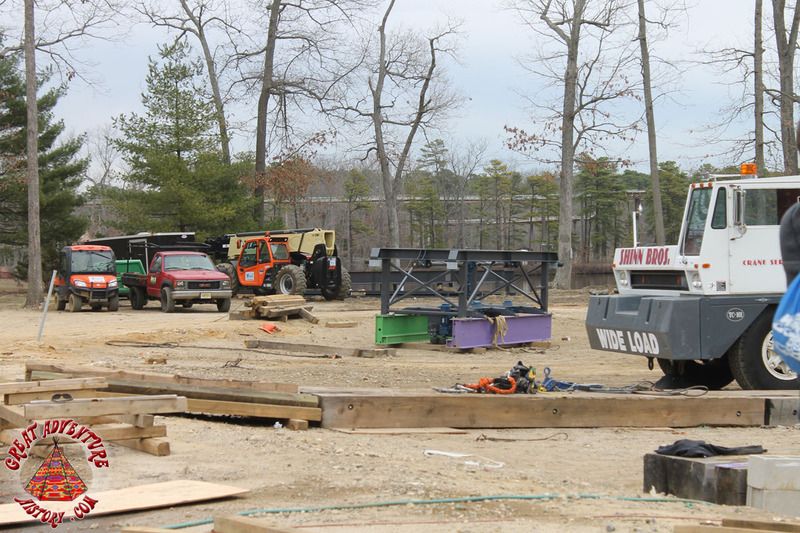 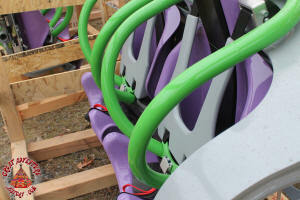 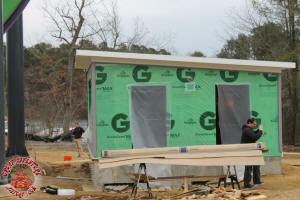 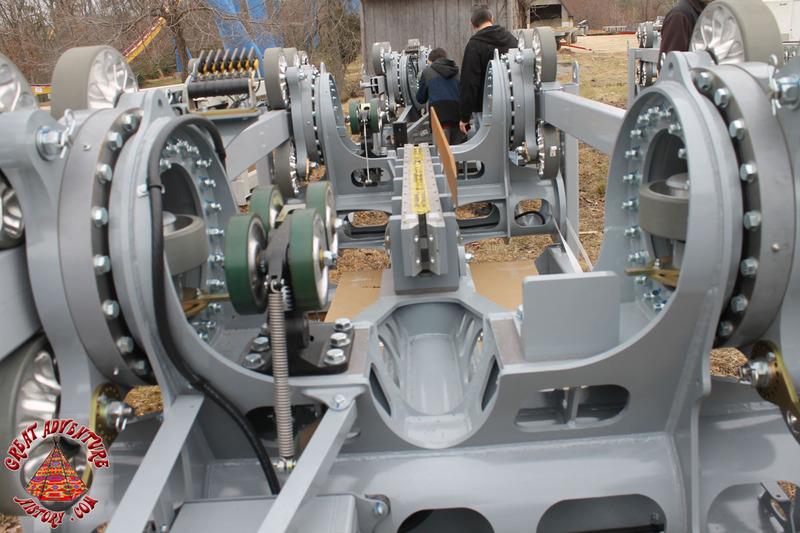 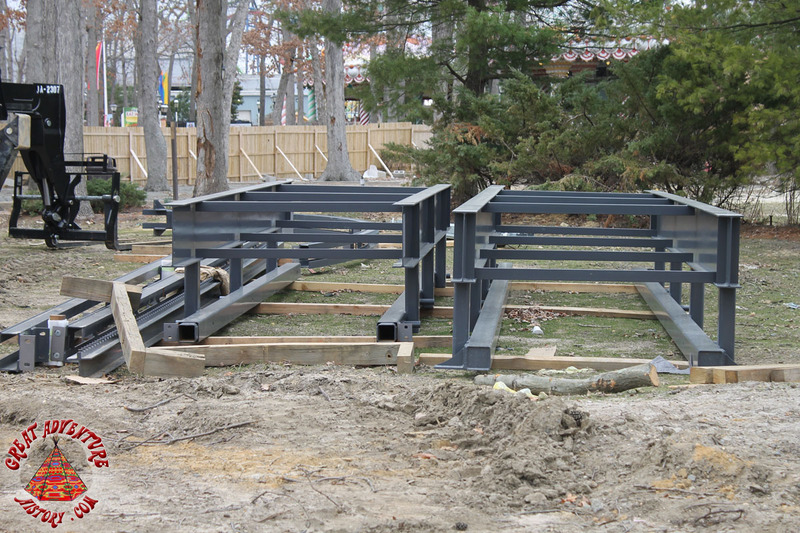 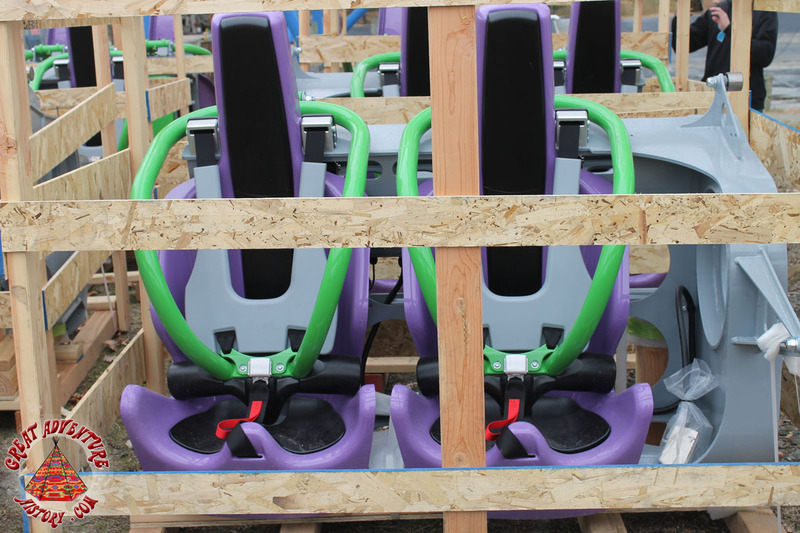 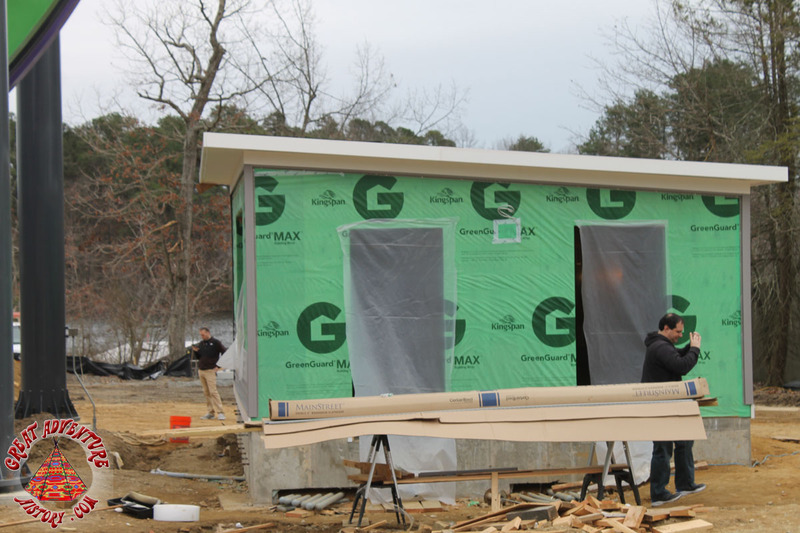 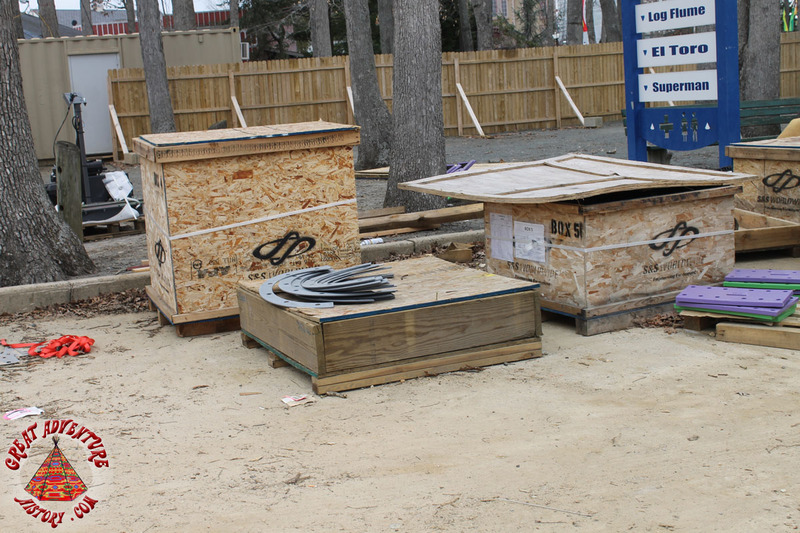 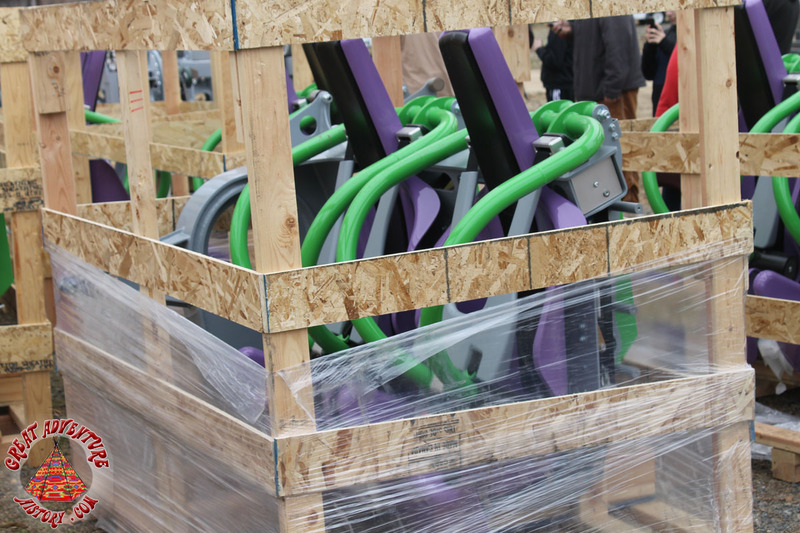 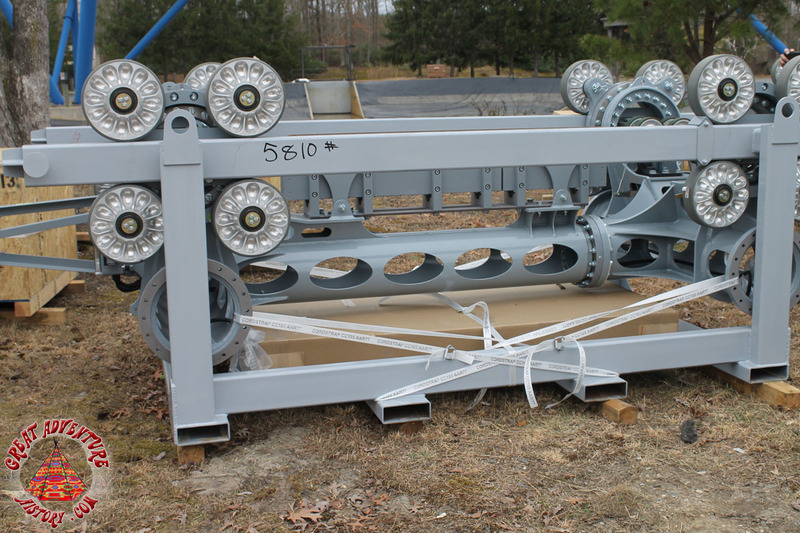 The seats for The JOKER's five 8-passenger cars have arrived on site. 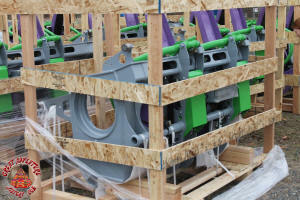 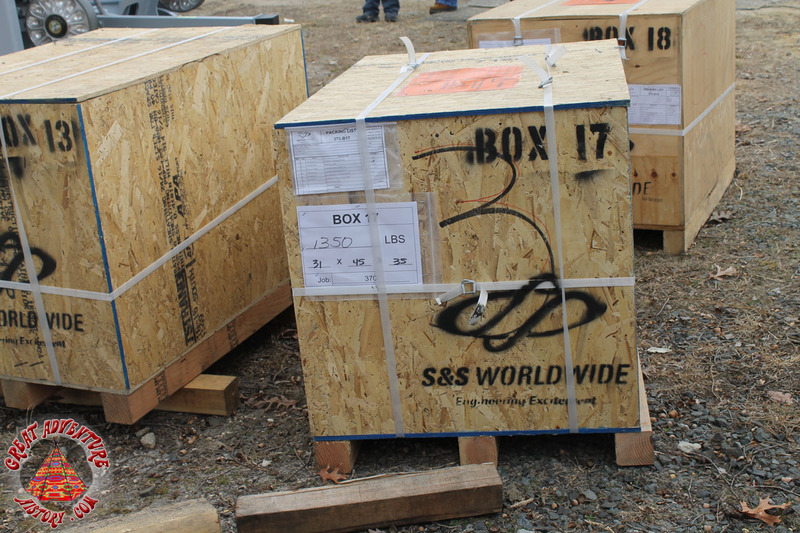 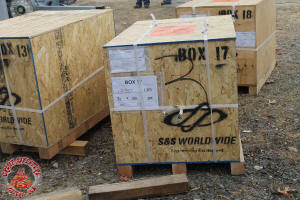 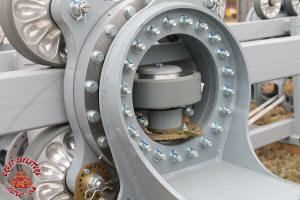 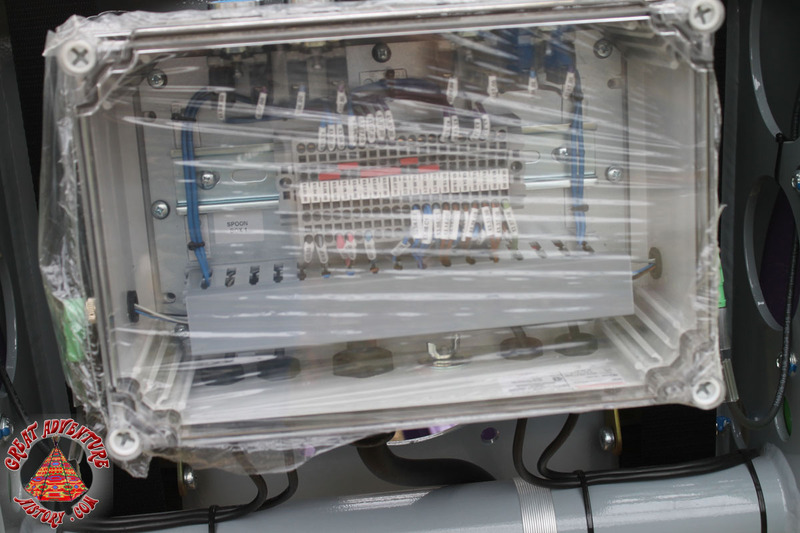 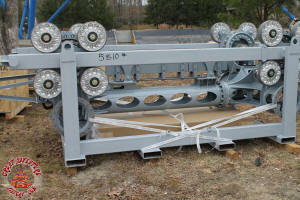 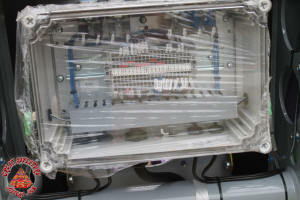 The car chassis have also arrived, all shiny and new. 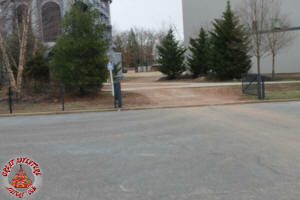 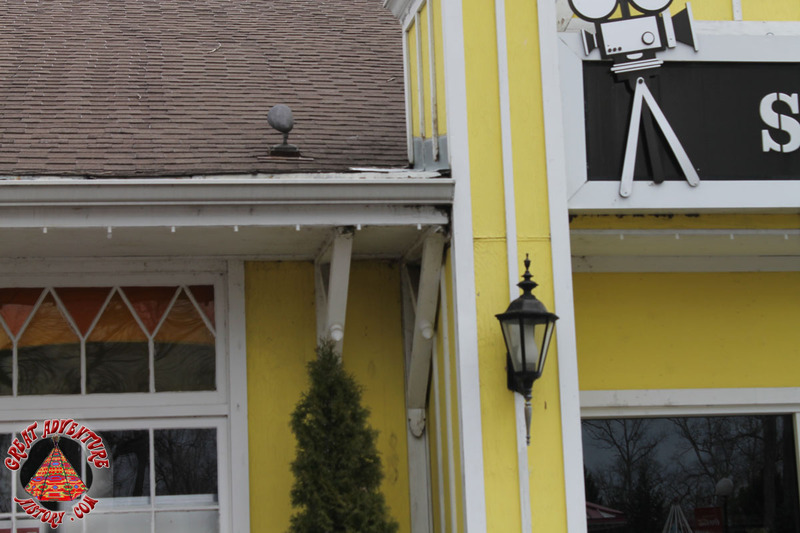 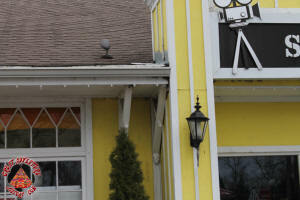 Some Christmas lights still remain while others have been removed. 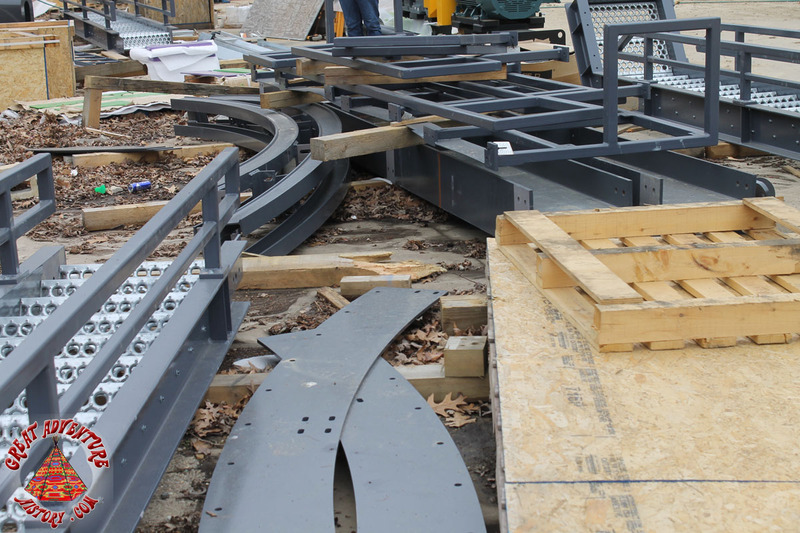 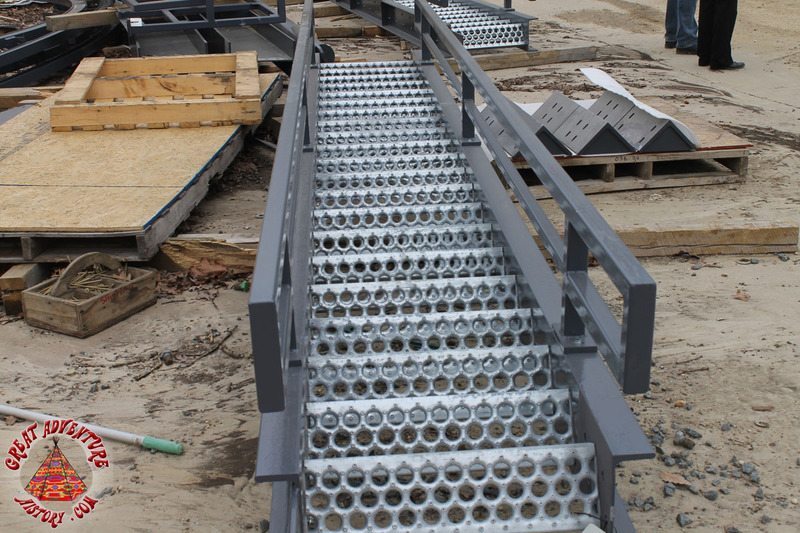 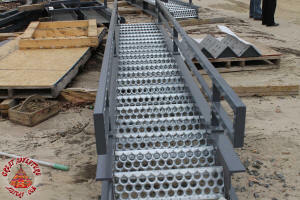 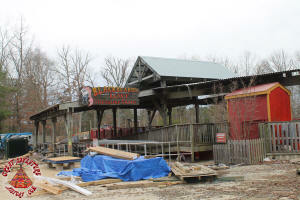 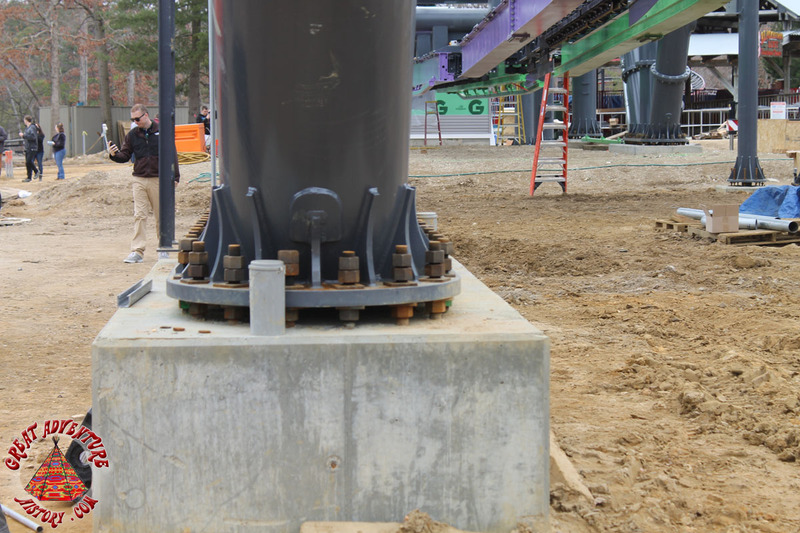 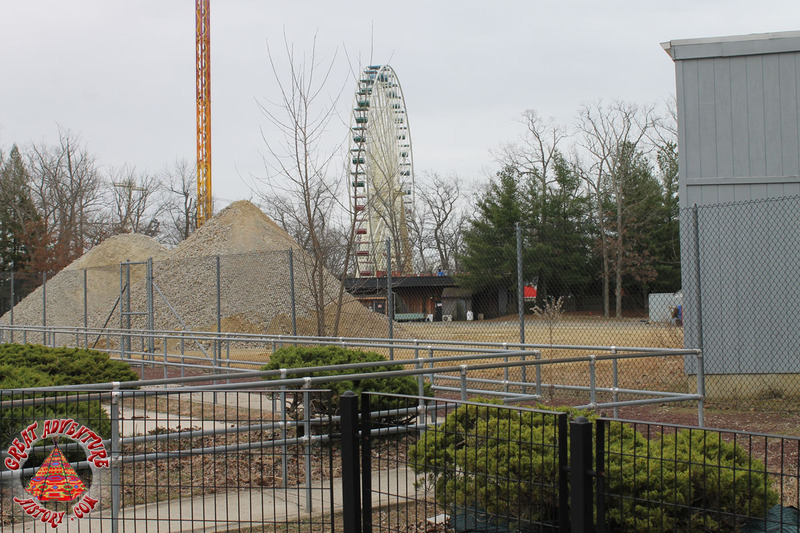 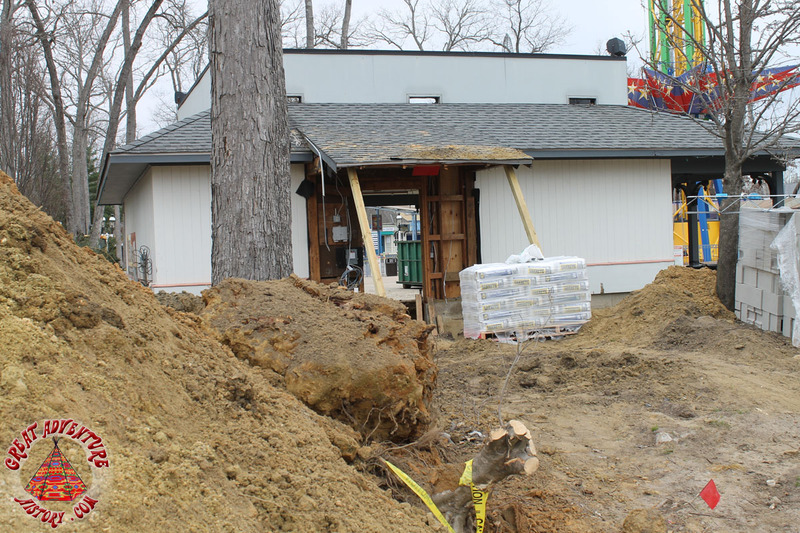 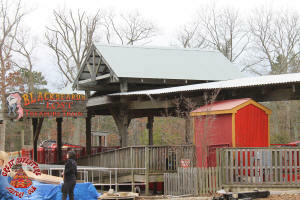 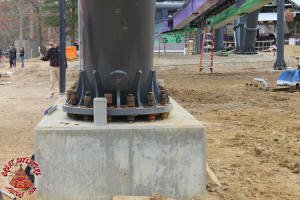 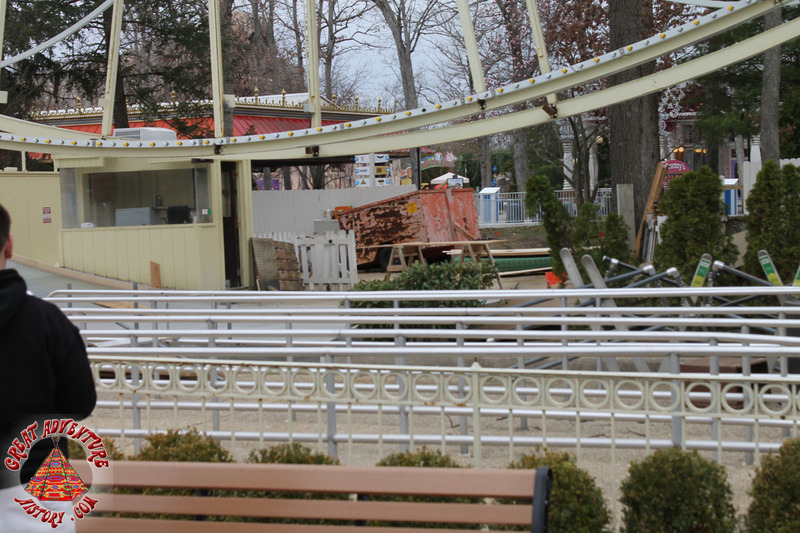 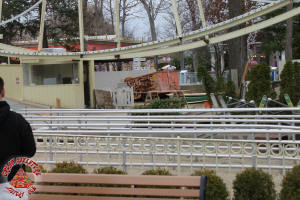 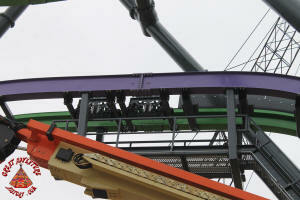 A new load/unload platform is being installed for the Big Wheel. 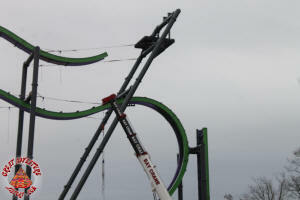 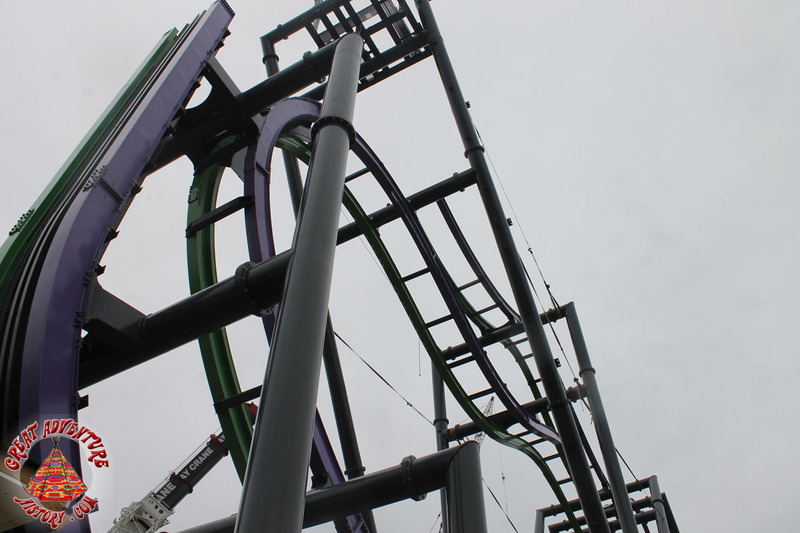 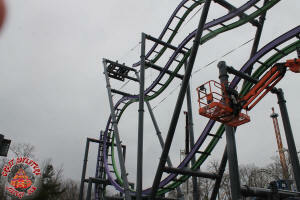 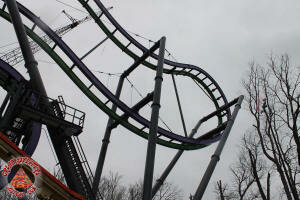 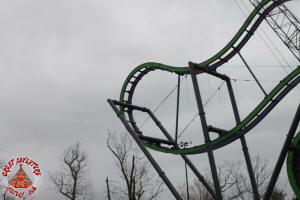 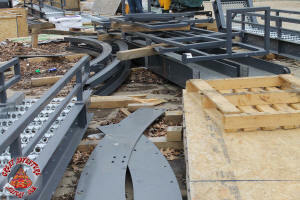 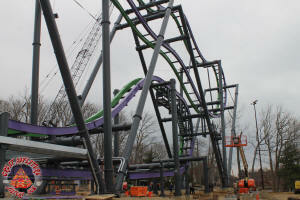 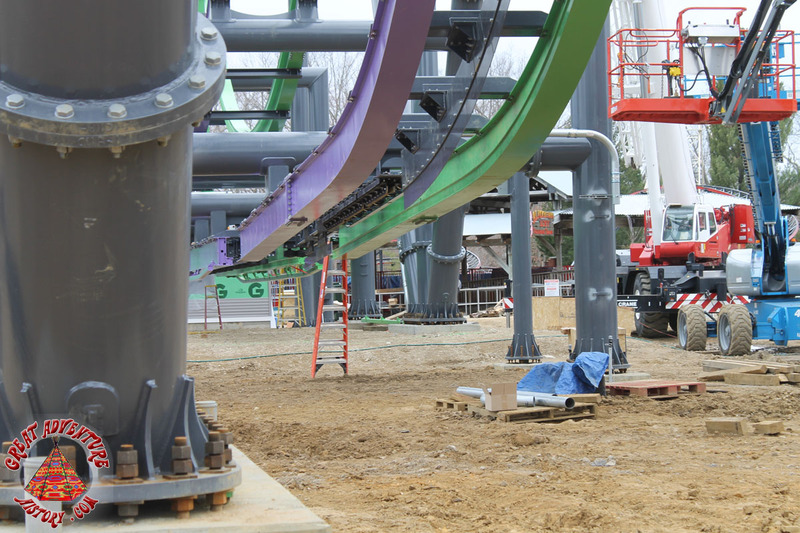 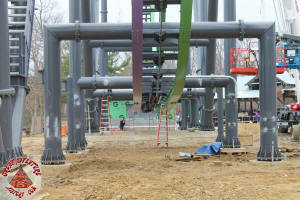 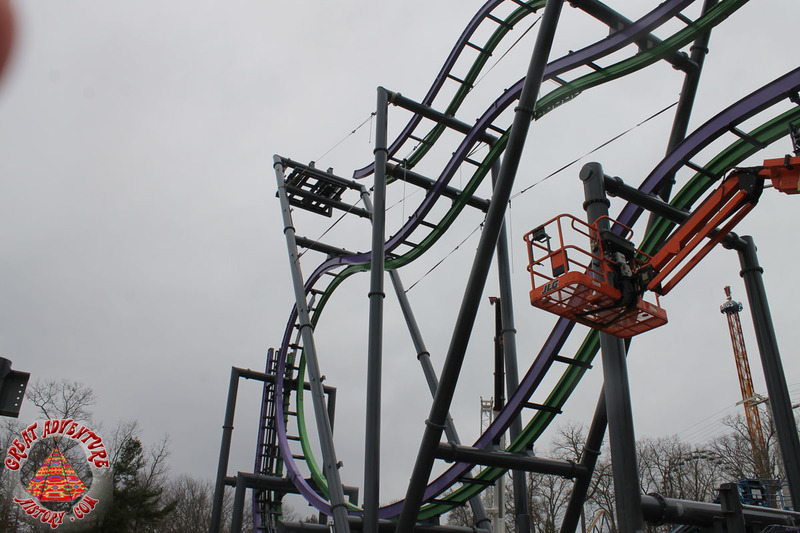 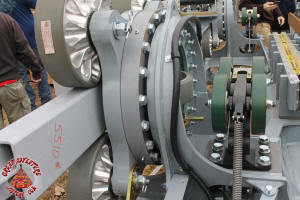 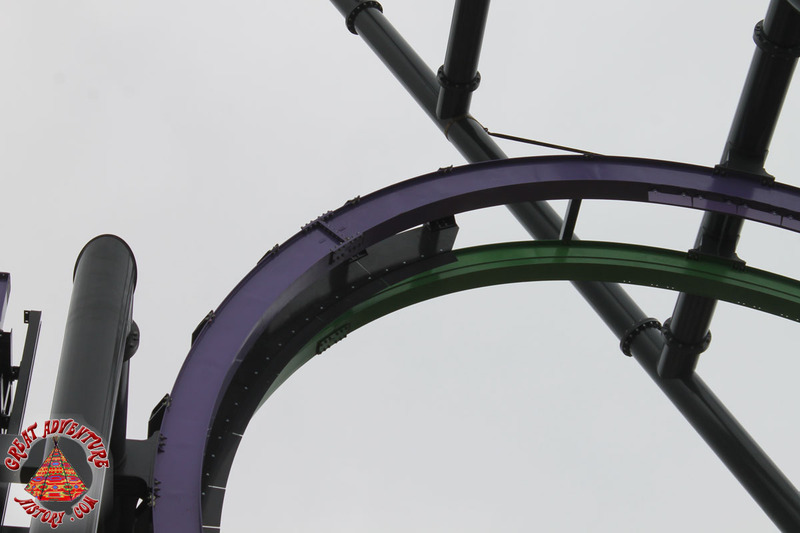 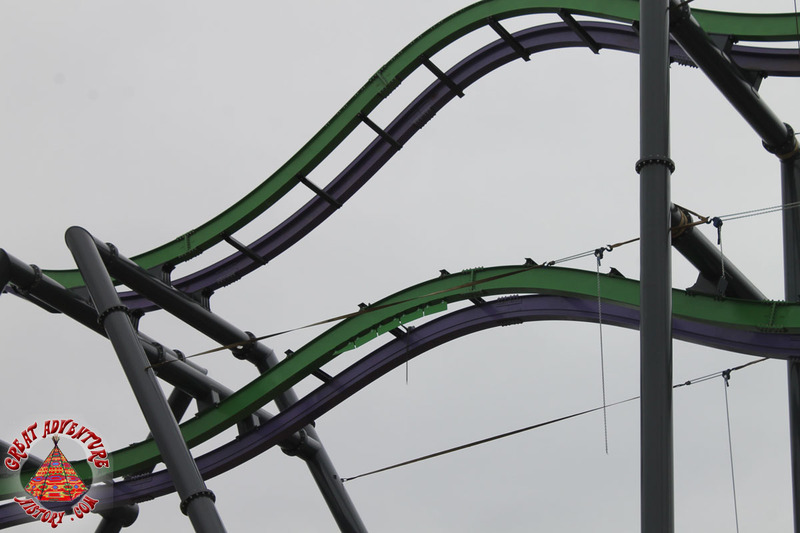 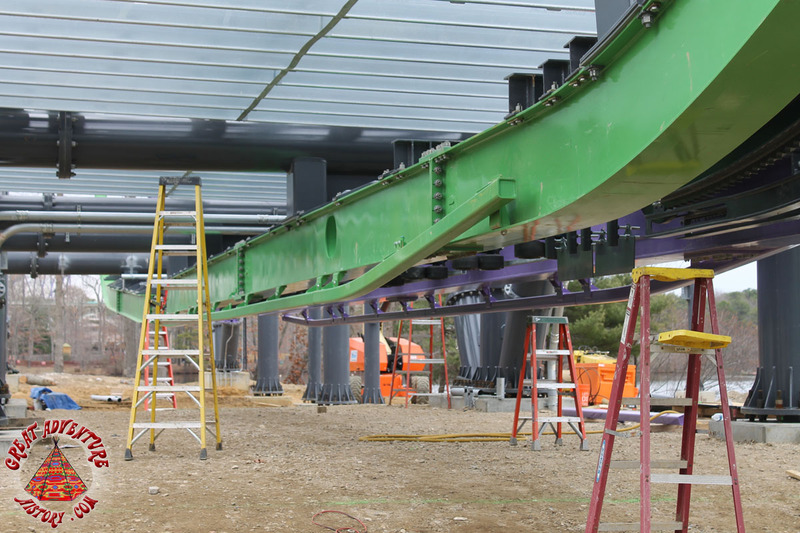 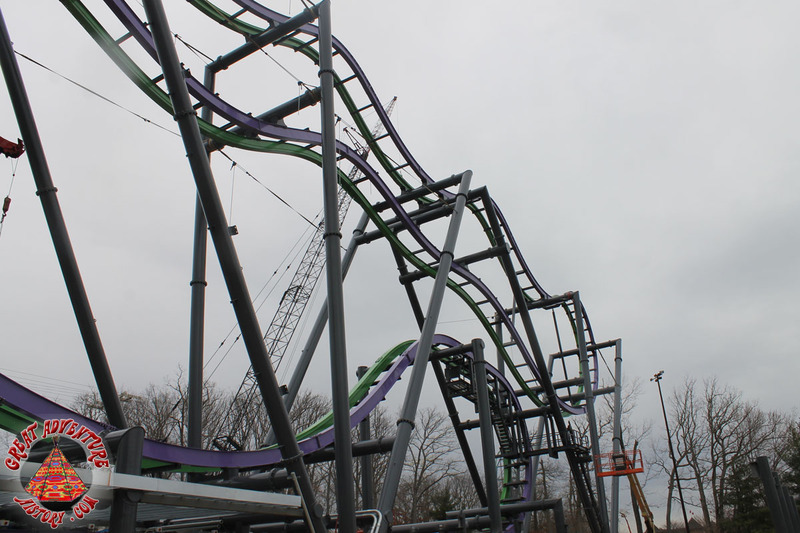 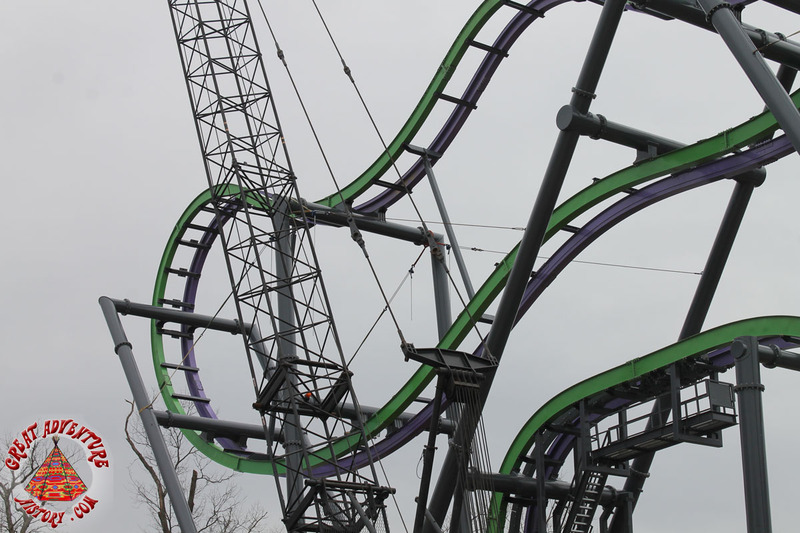 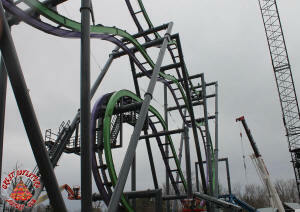 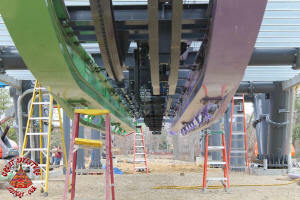 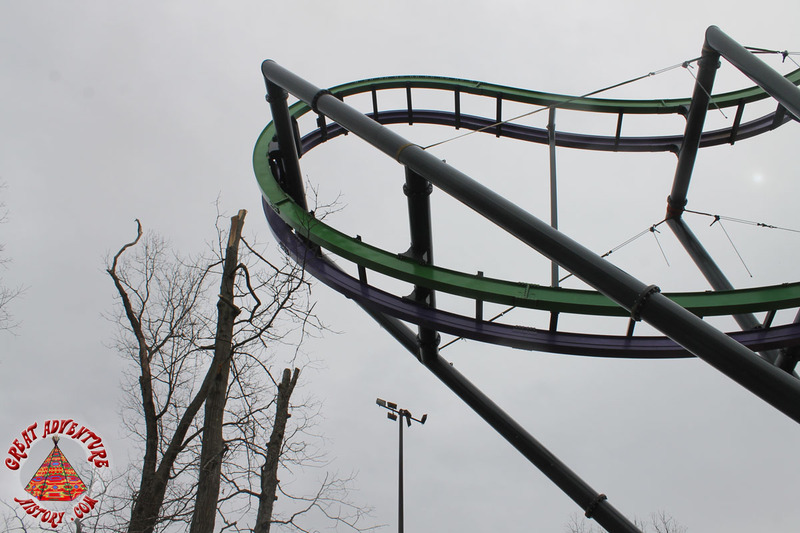 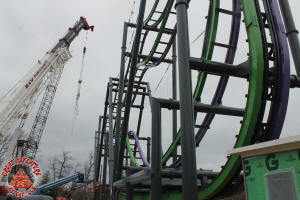 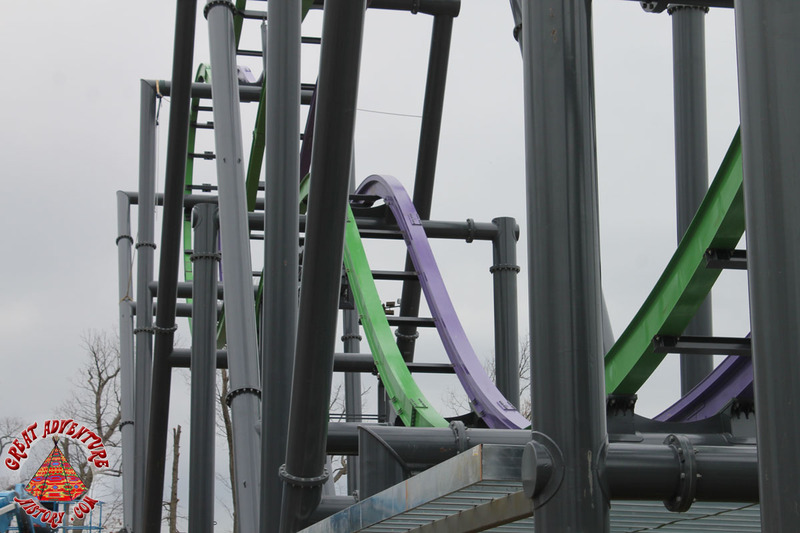 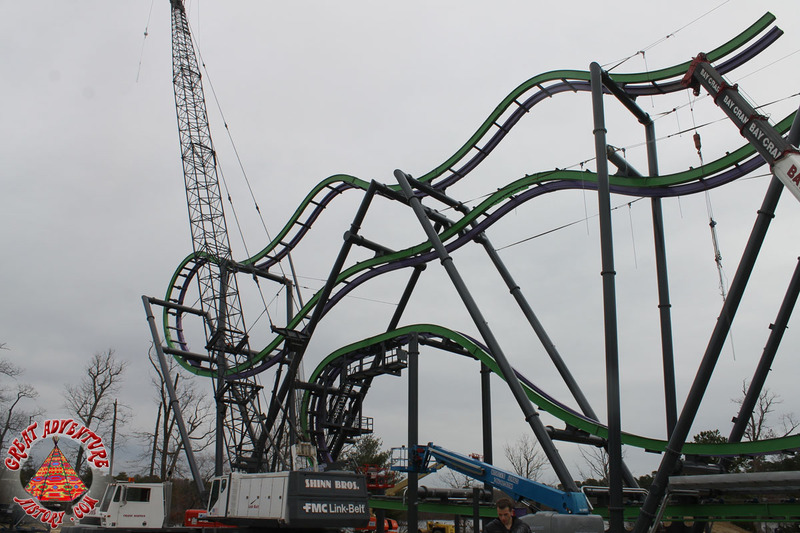 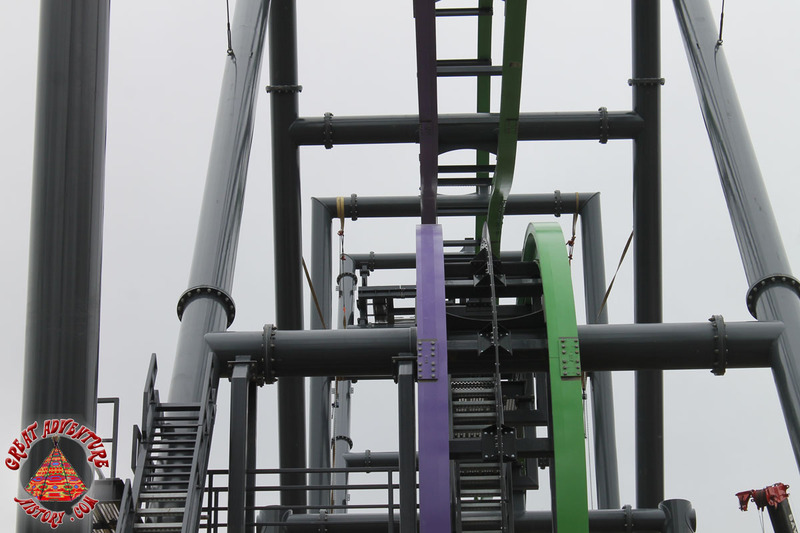 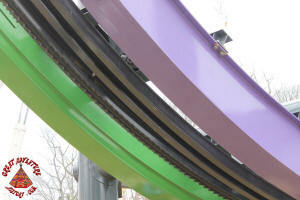 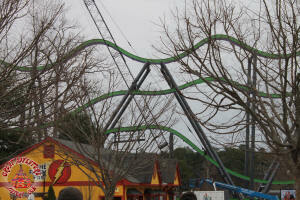 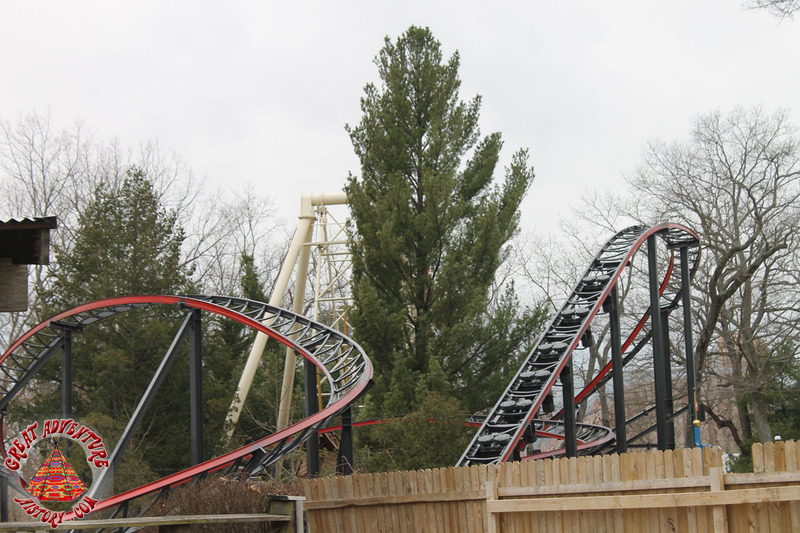 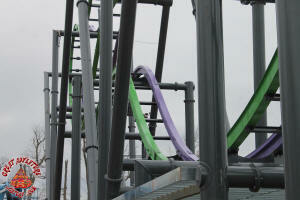 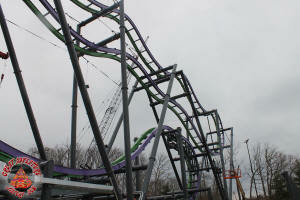 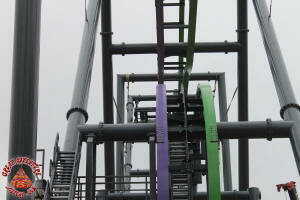 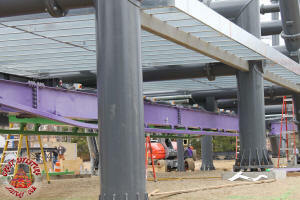 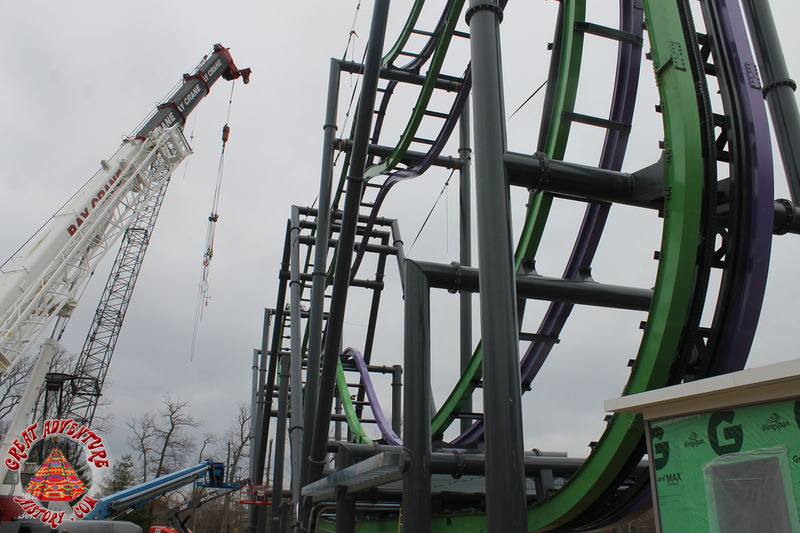 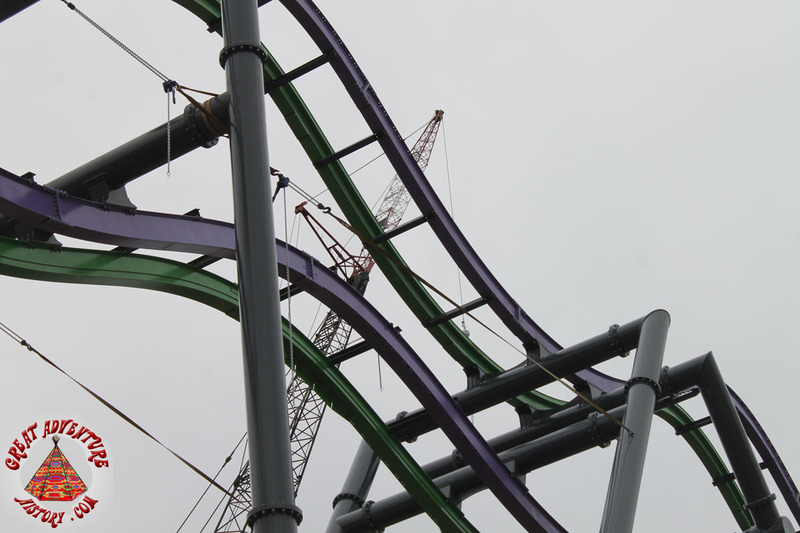 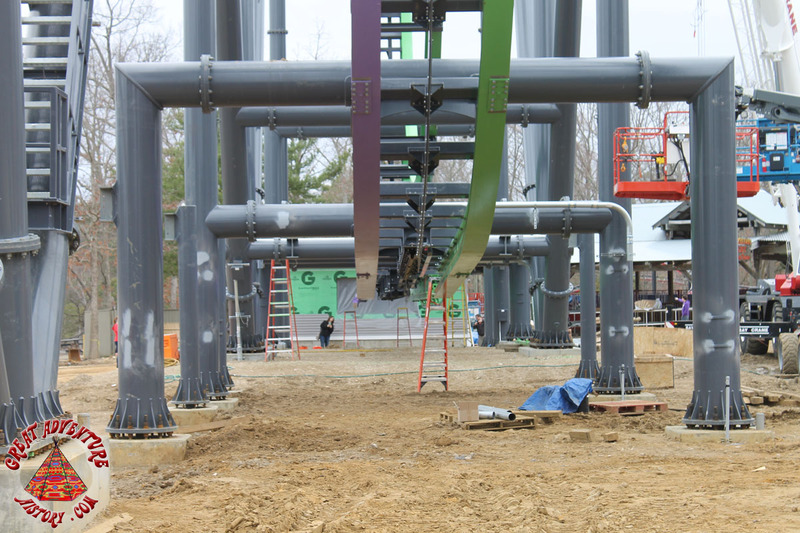 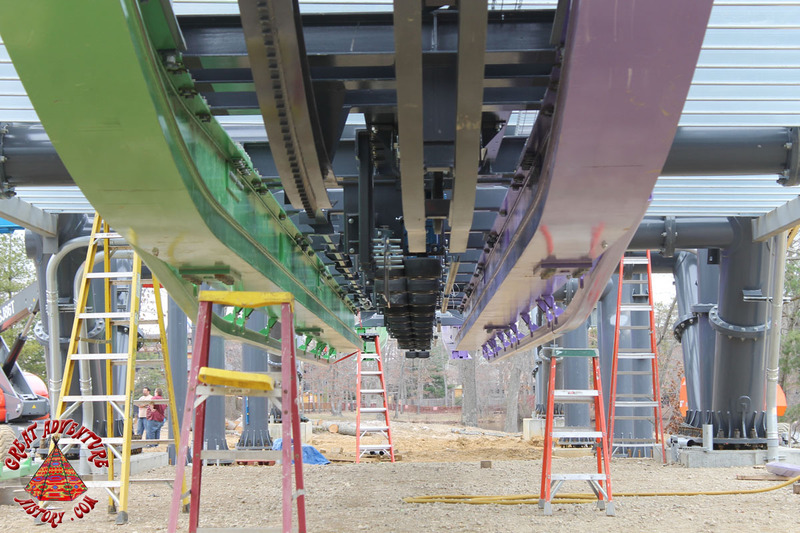 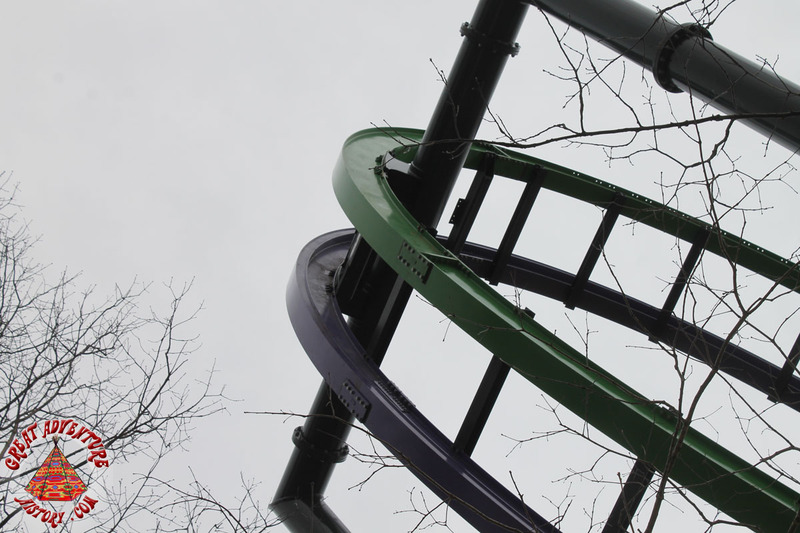 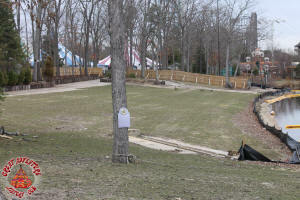 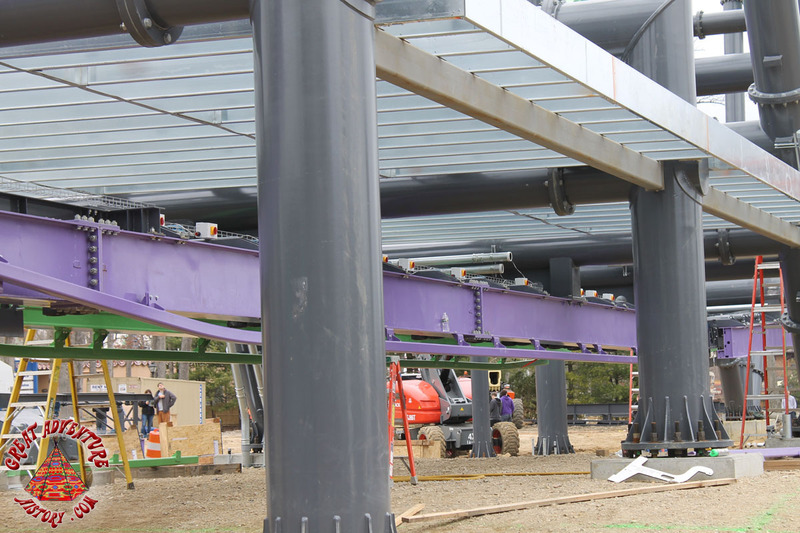 The JOKER has seen amazing progress with track installation nearly completed. 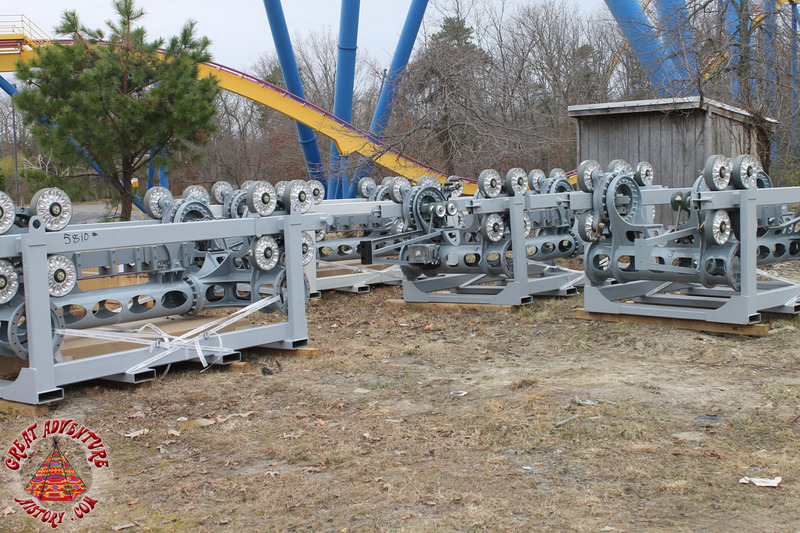 Just a small portion of the Aqua Spectacle reamains. 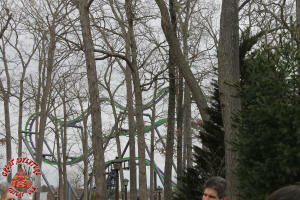 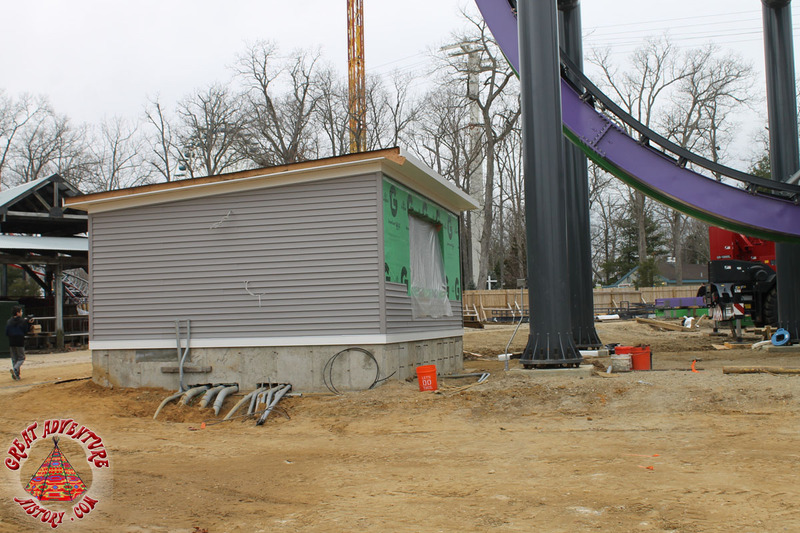 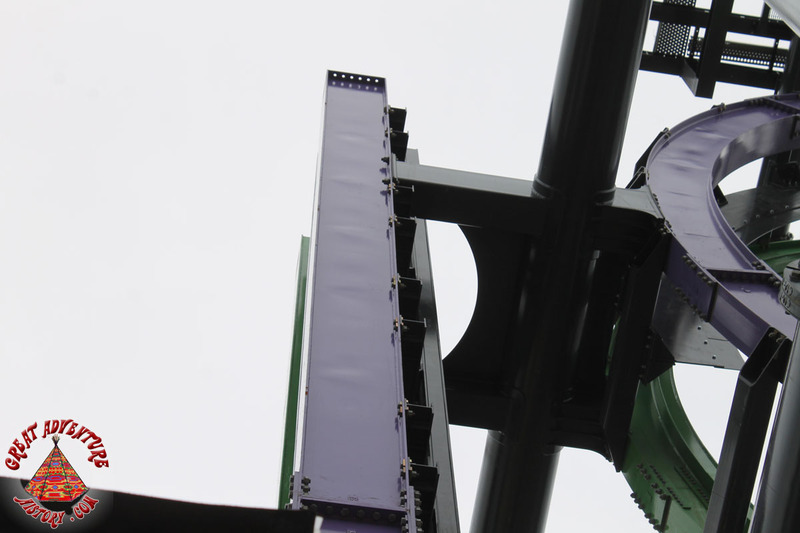 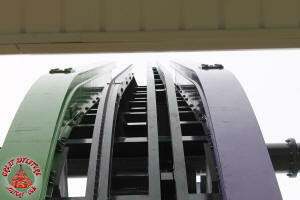 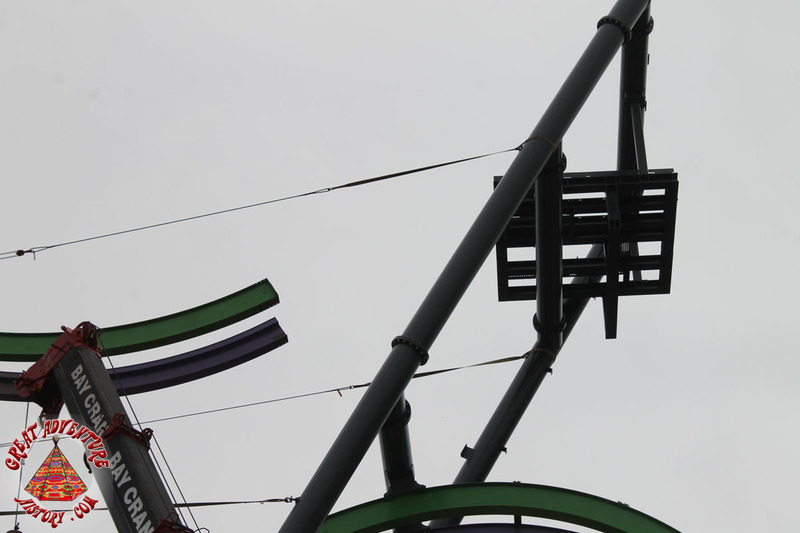 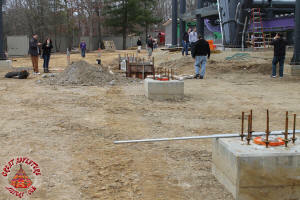 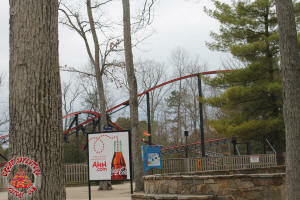 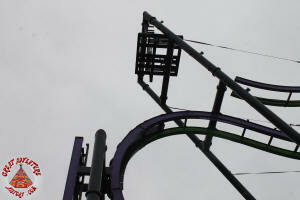 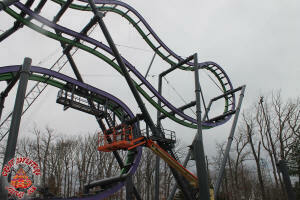 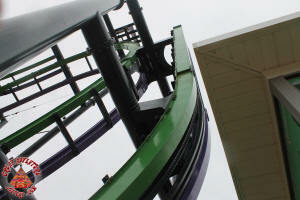 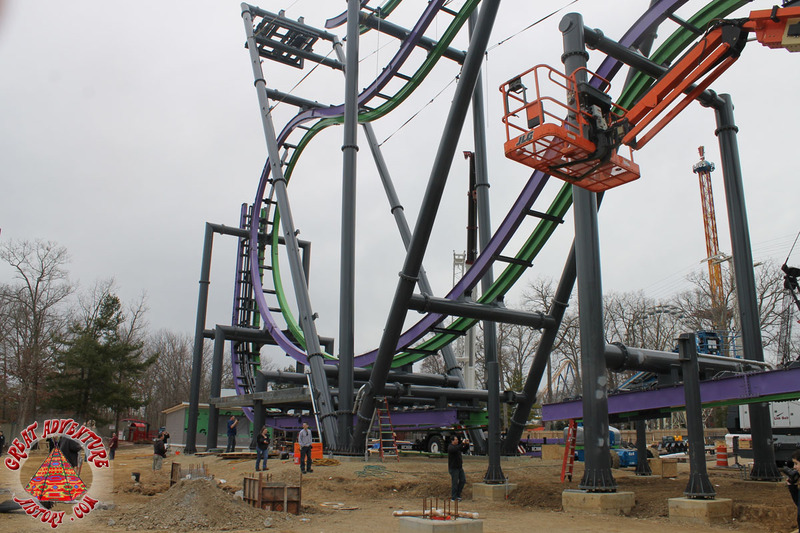 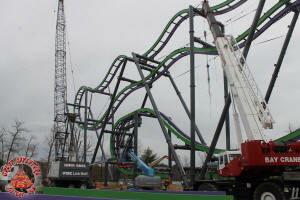 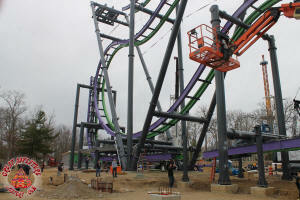 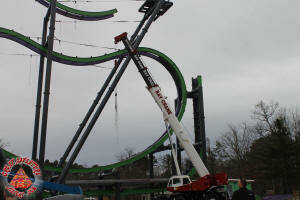 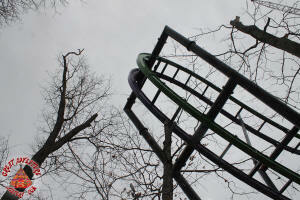 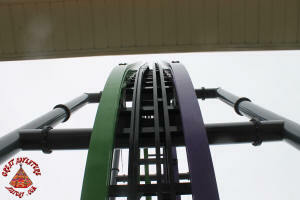 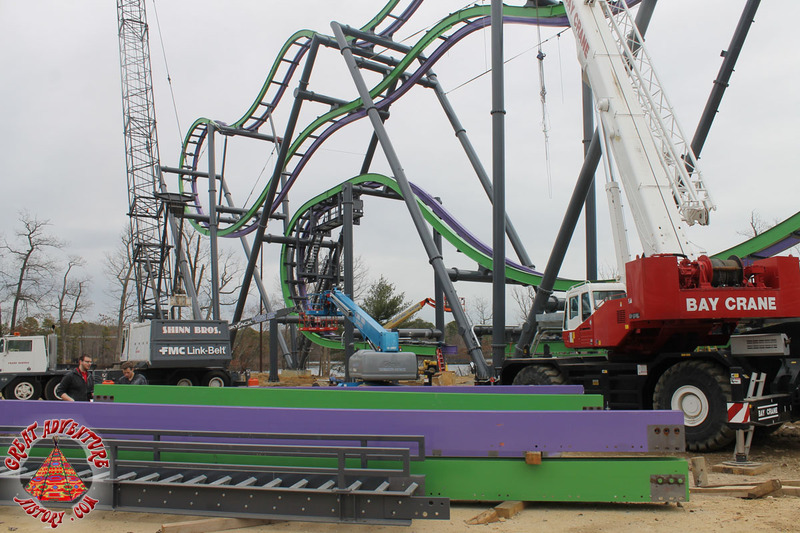 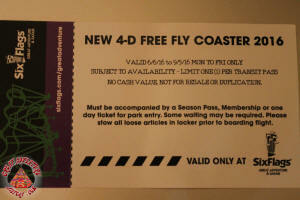 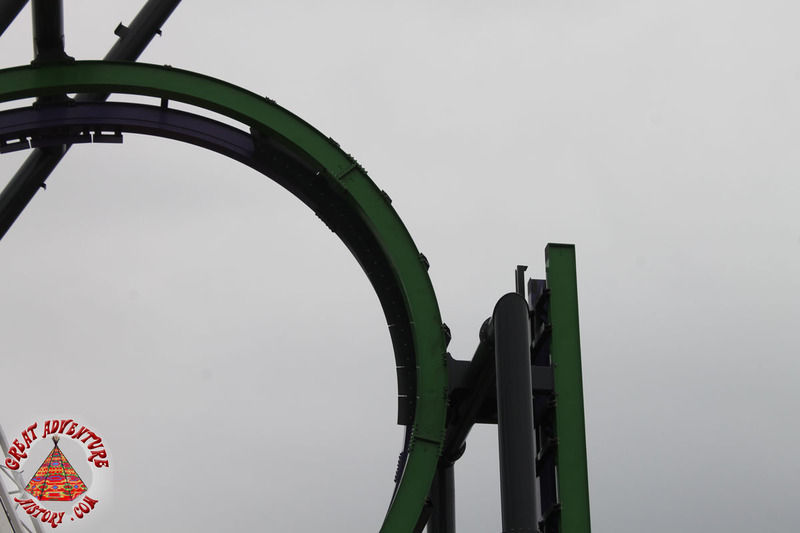 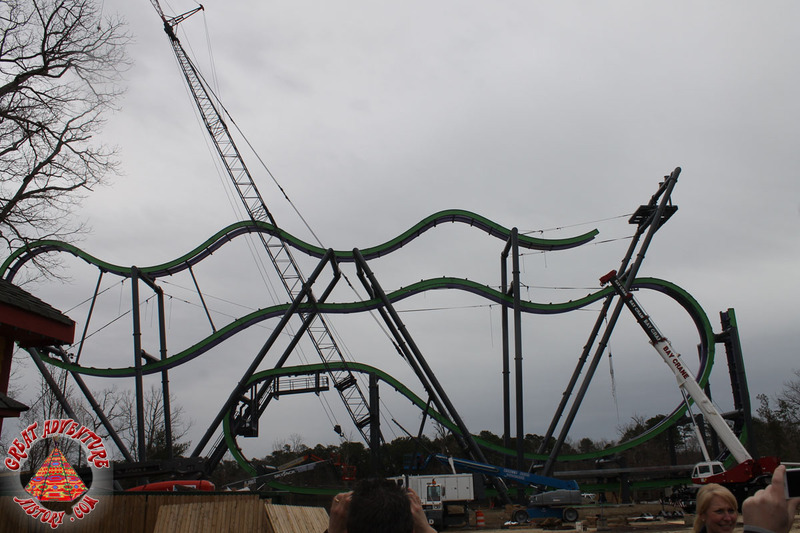 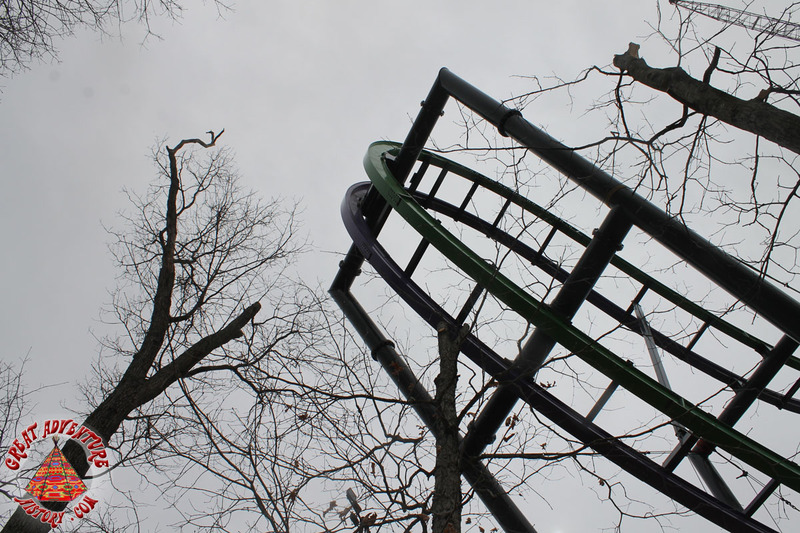 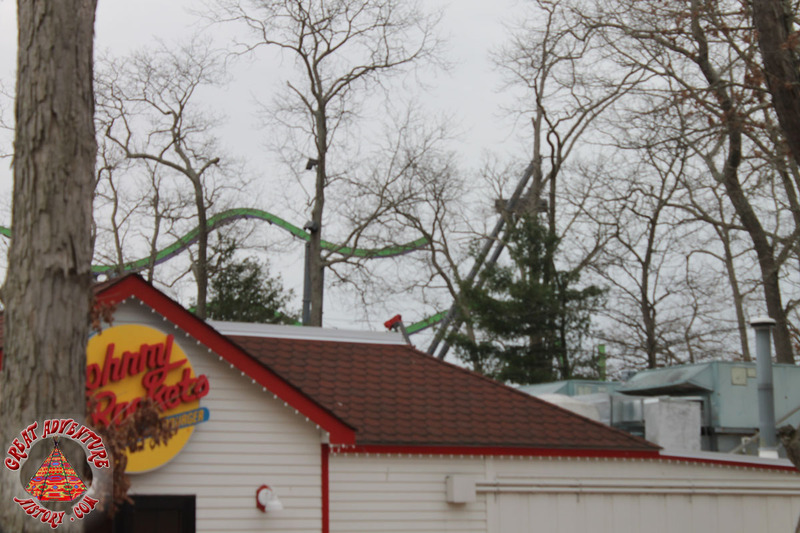 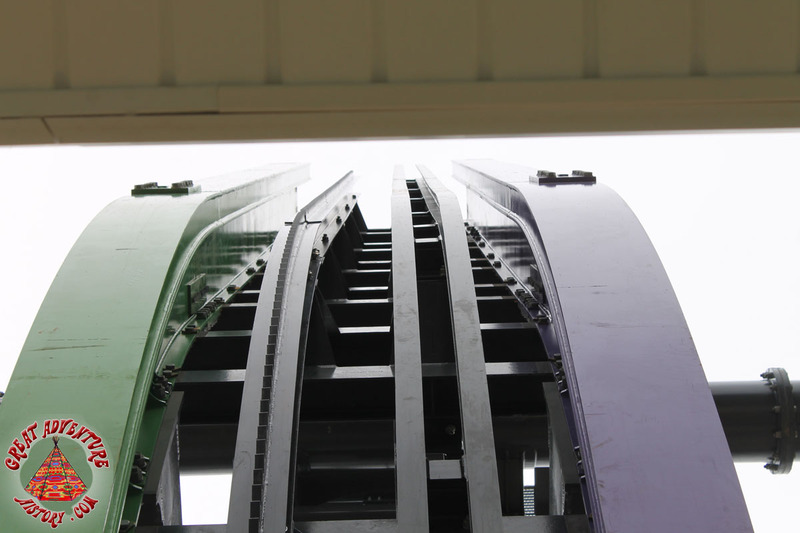 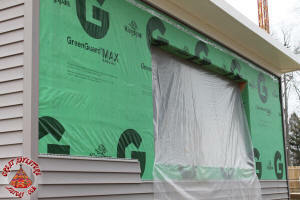 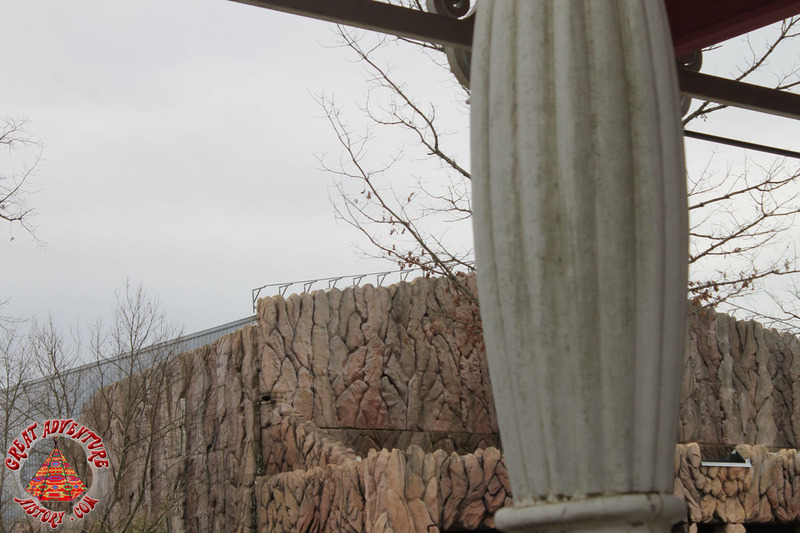 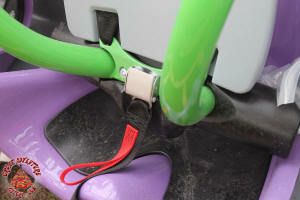 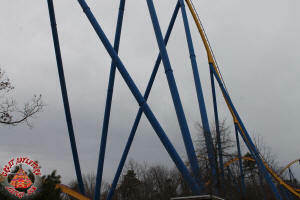 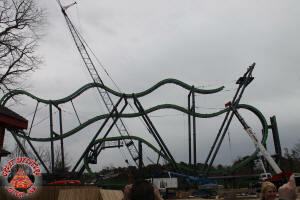 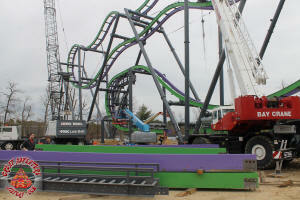 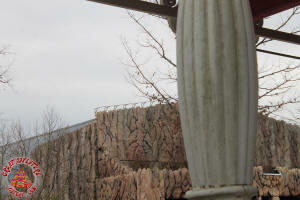 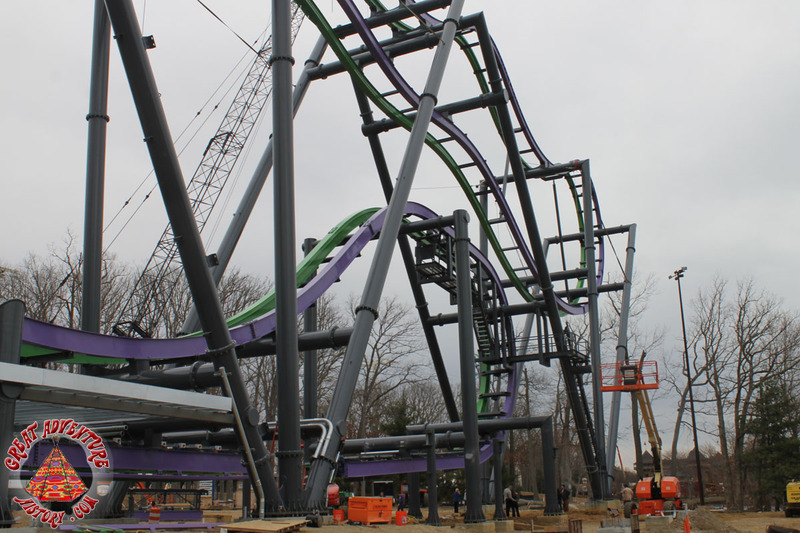 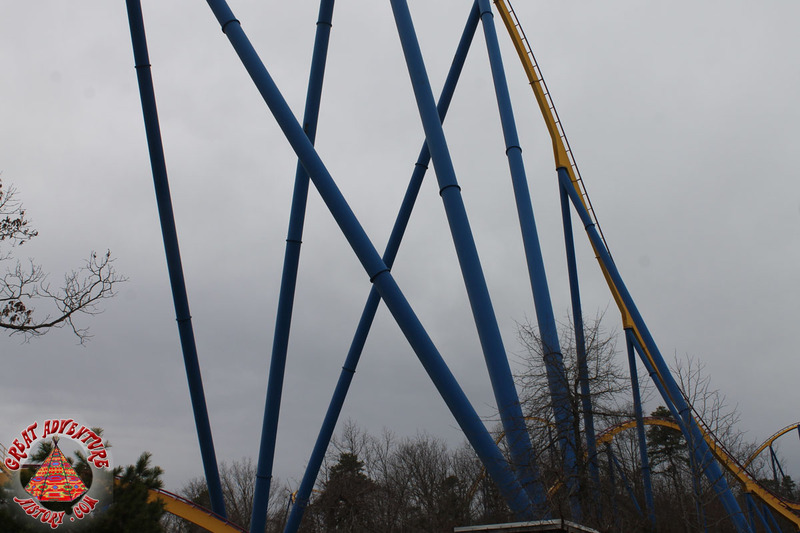 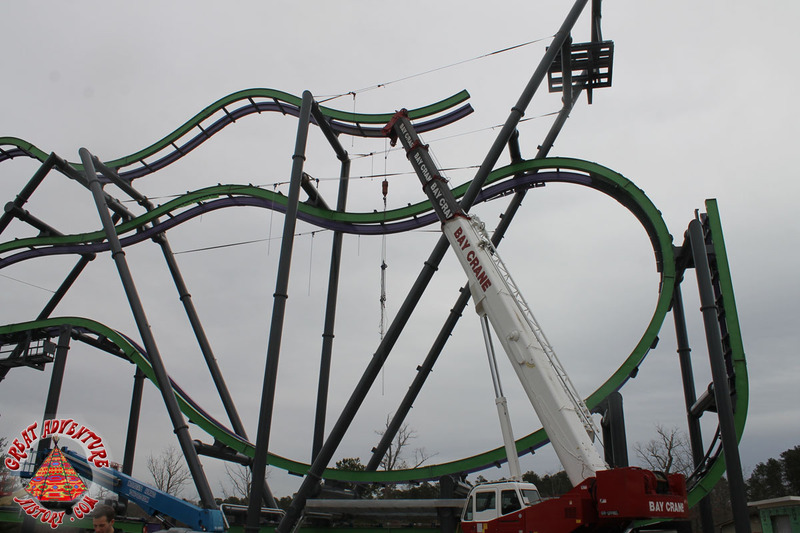 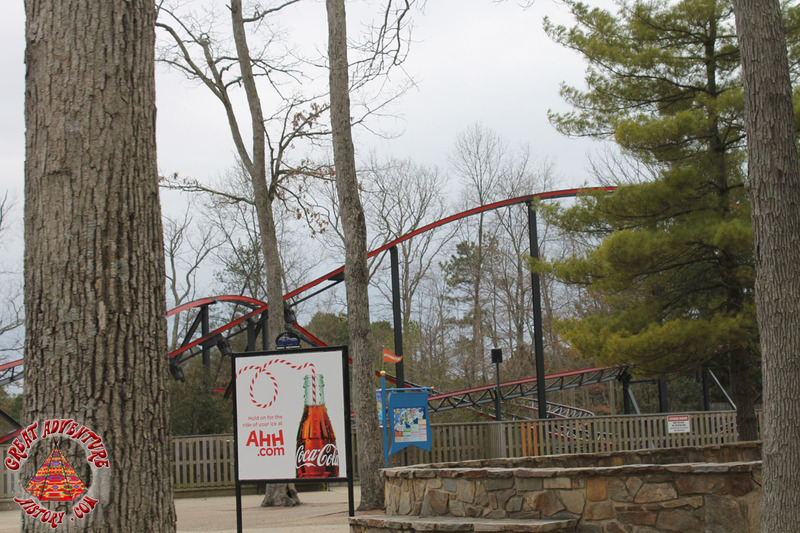 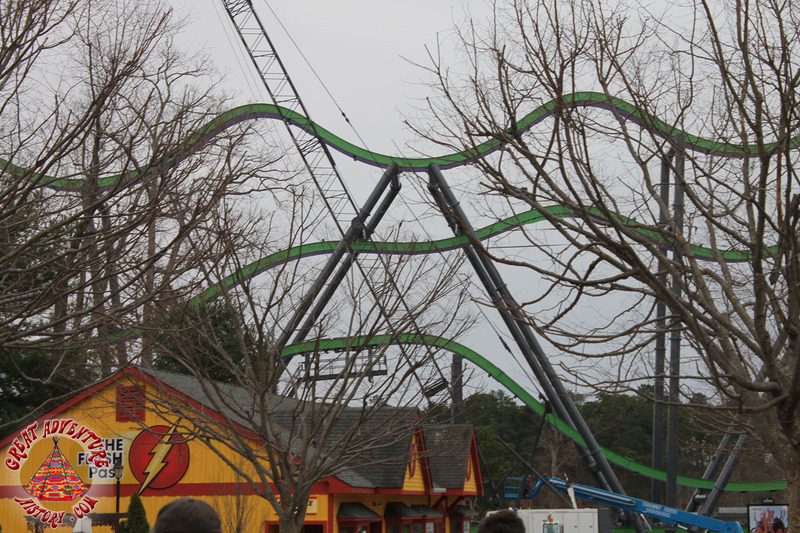 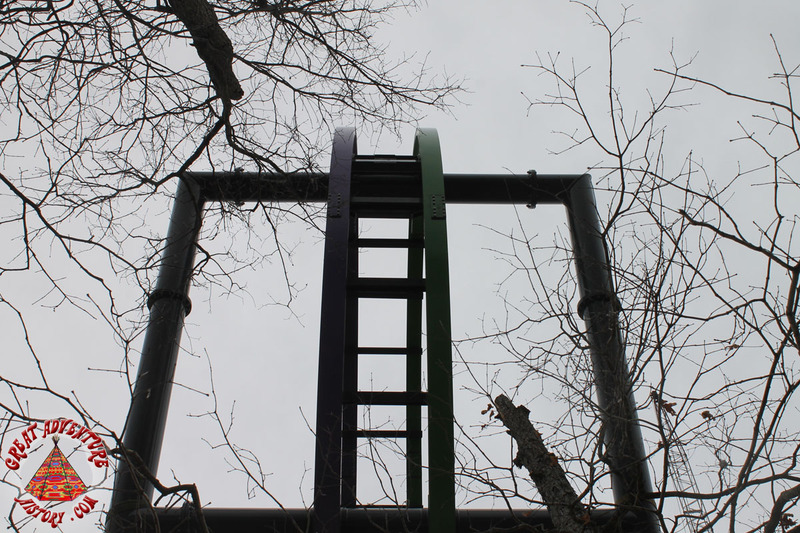 The vertical lift is sure to be an impressive feature of The JOKER experience. 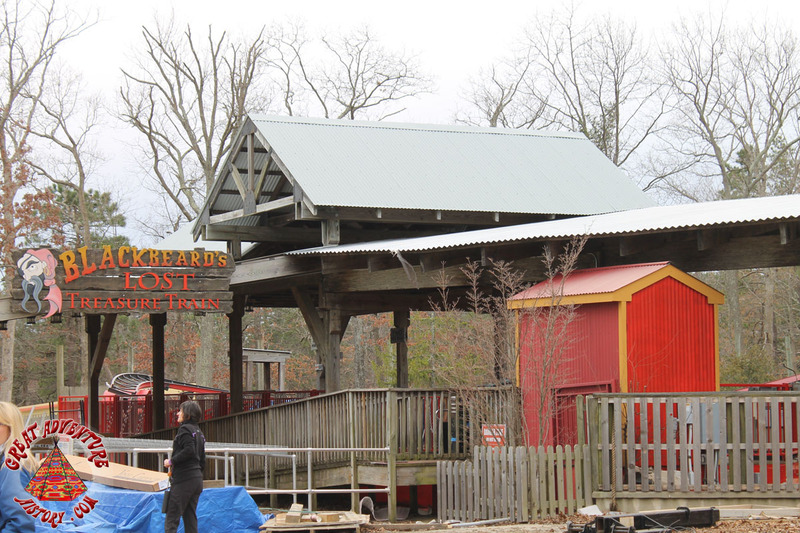 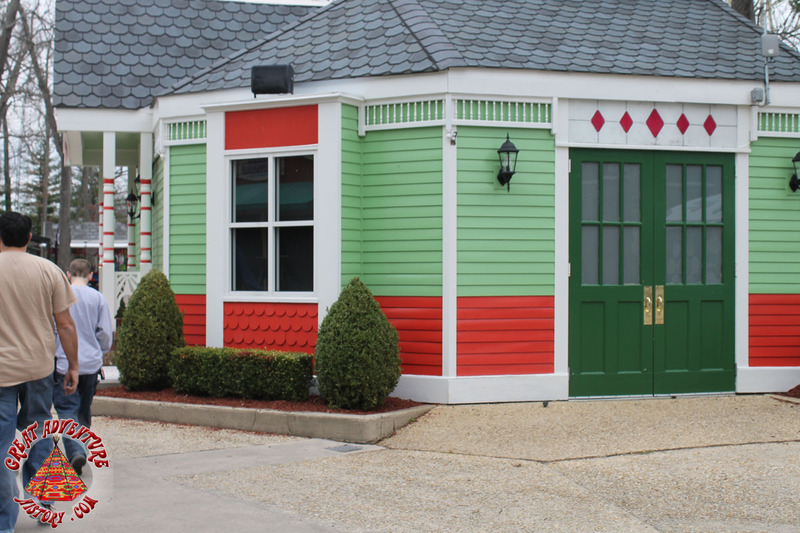 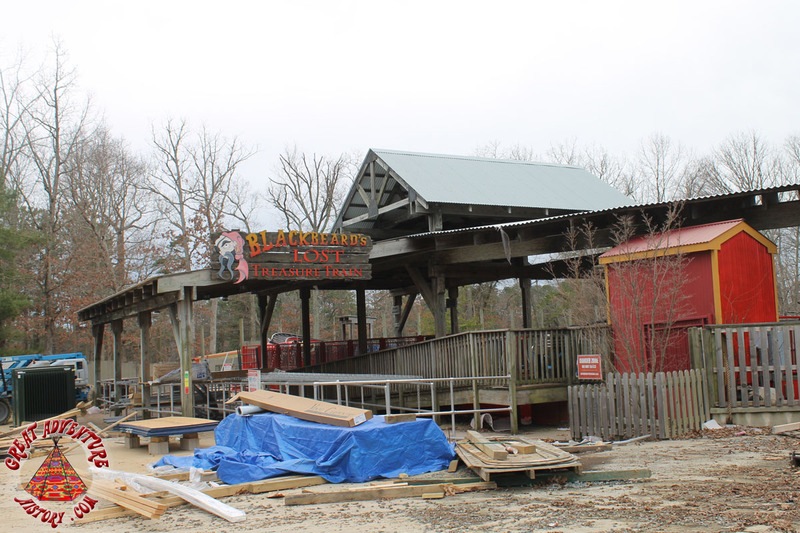 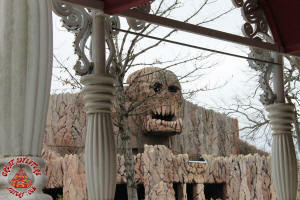 Blackbeard's Treasure Train has begun its transformation to Harley Quinn's Crazy Train including a new black and red color scheme. 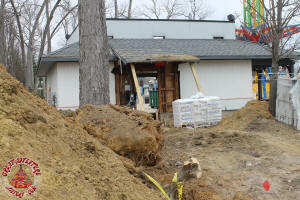 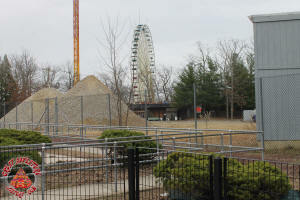 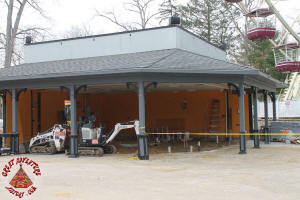 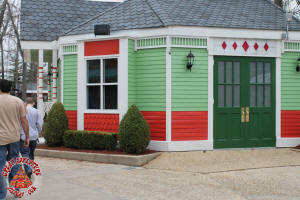 The old Chicago Shootout building will soon be the Sky Bar near SkyScreamer.